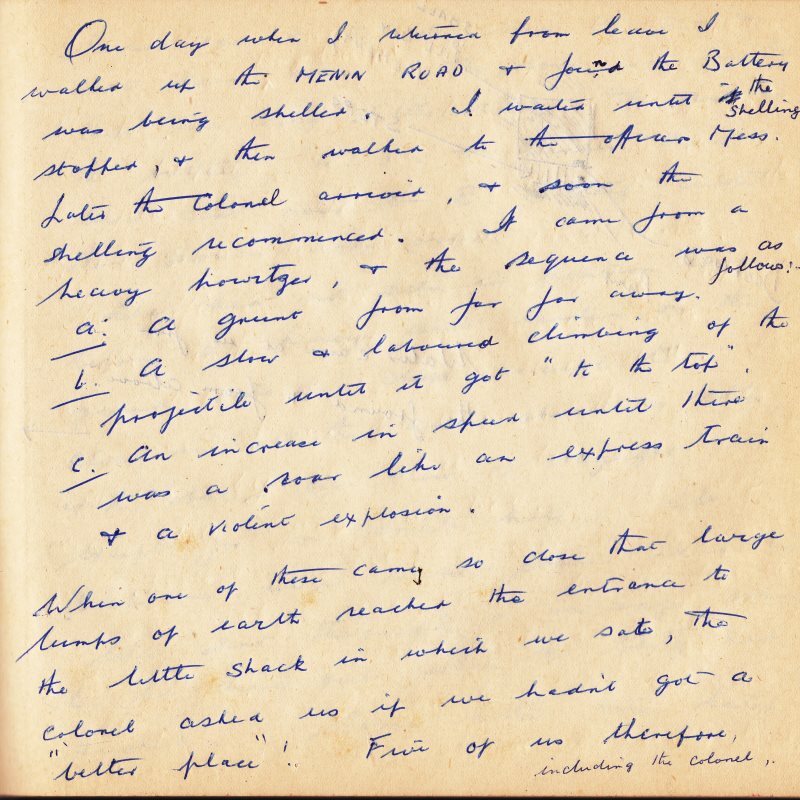 Like many of his generation, Cyril did not speak about his war experiences, at least not to any of us, his grandchildren. 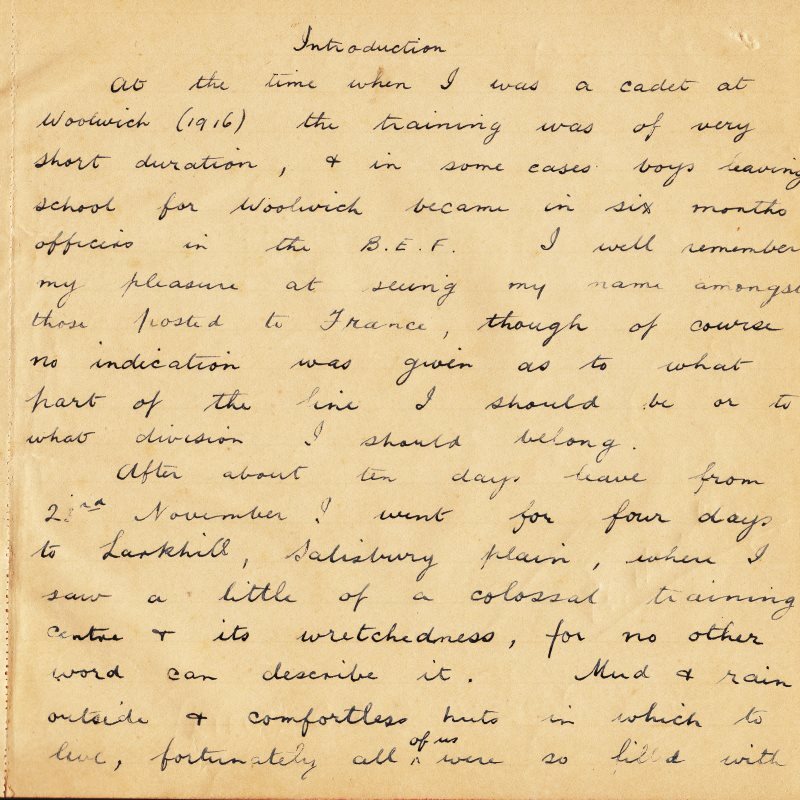 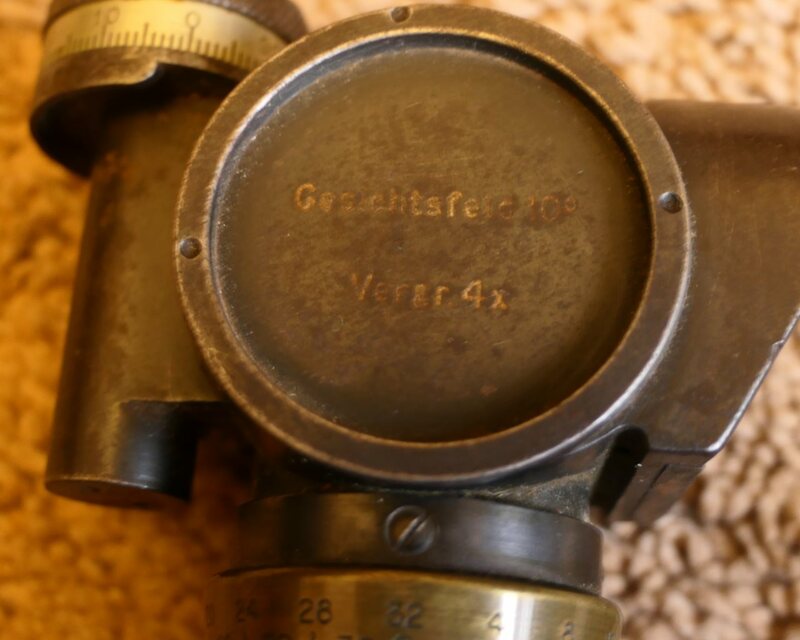 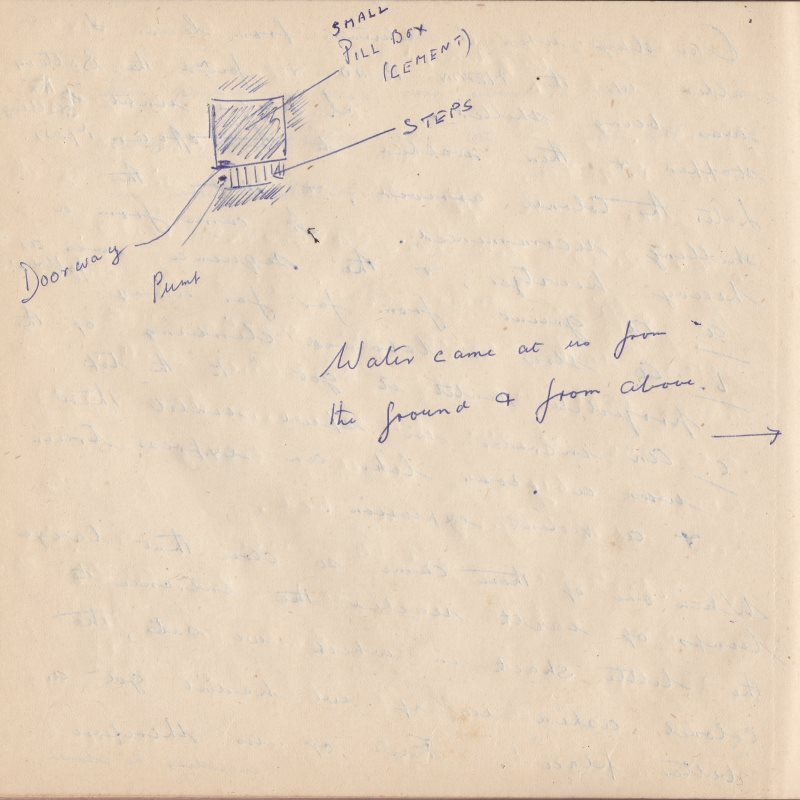 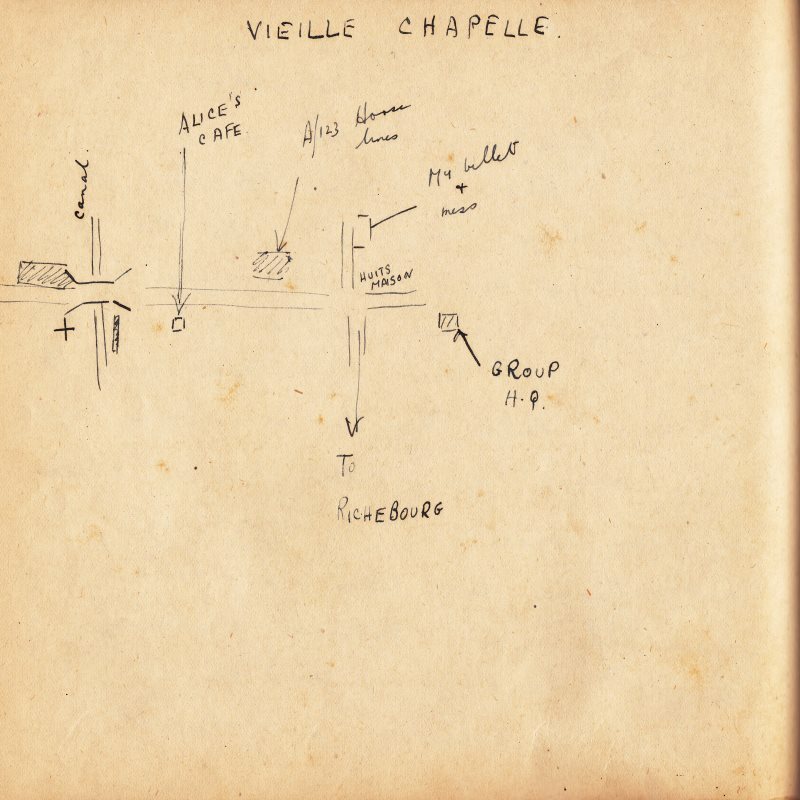 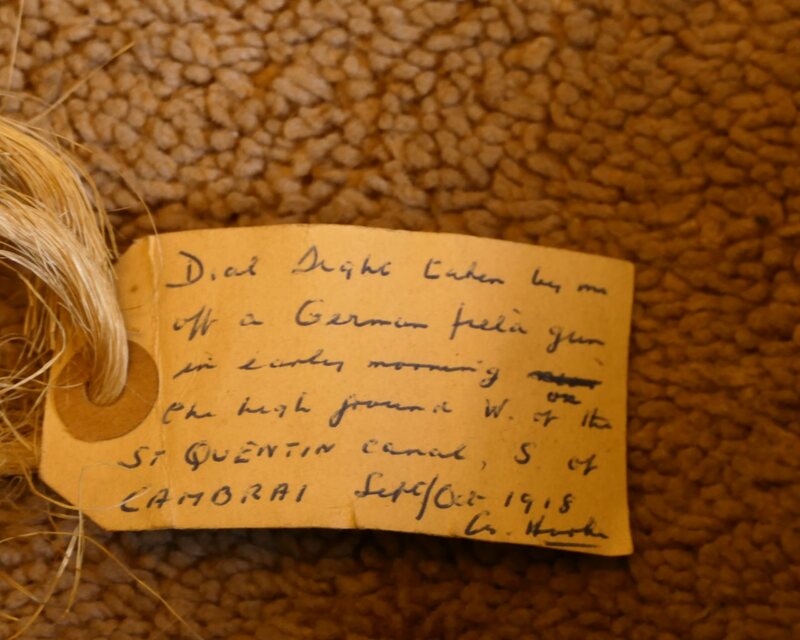 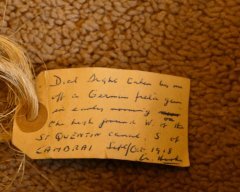 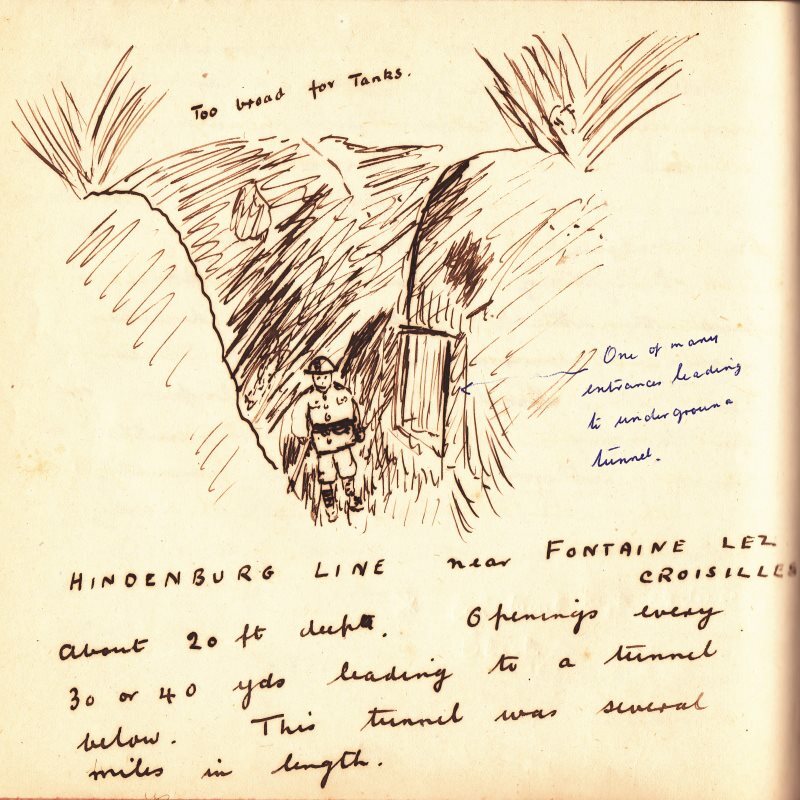 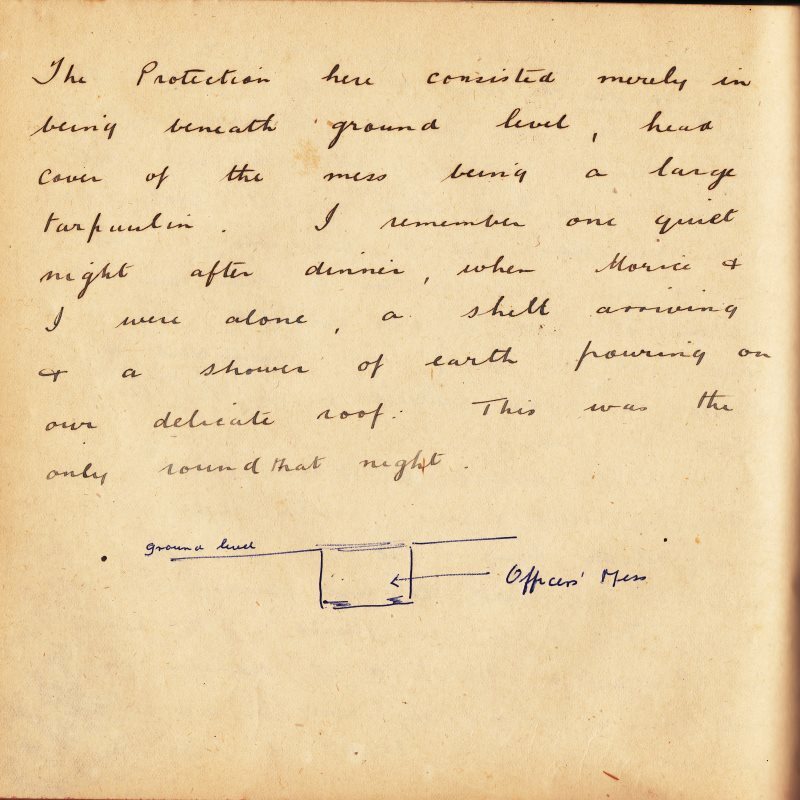 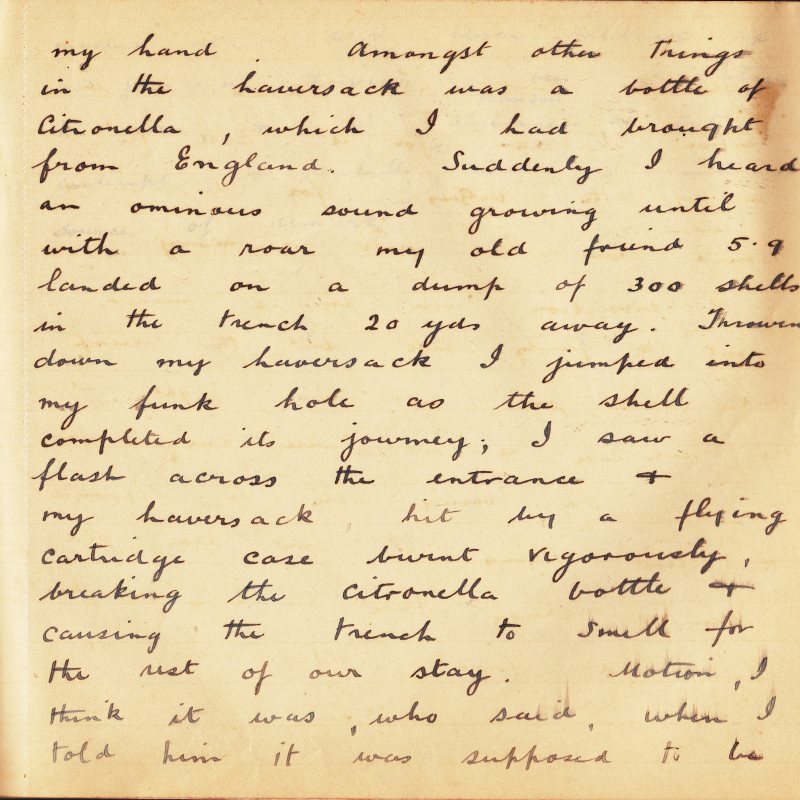 It was only years after he died that a notebook he had written and illustrated came to light, describing his experience on the front line in France during 1917-1918 when he earned the Military Cross for great bravery under fire. 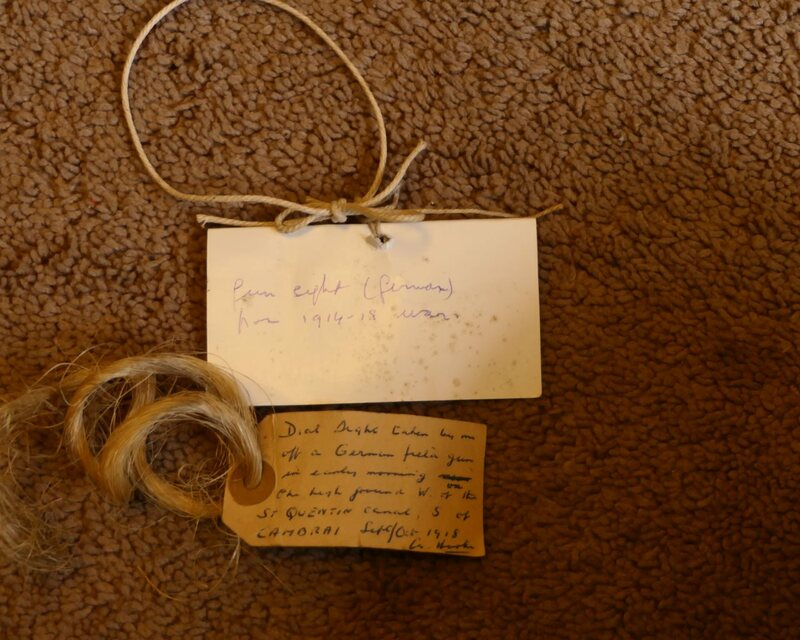 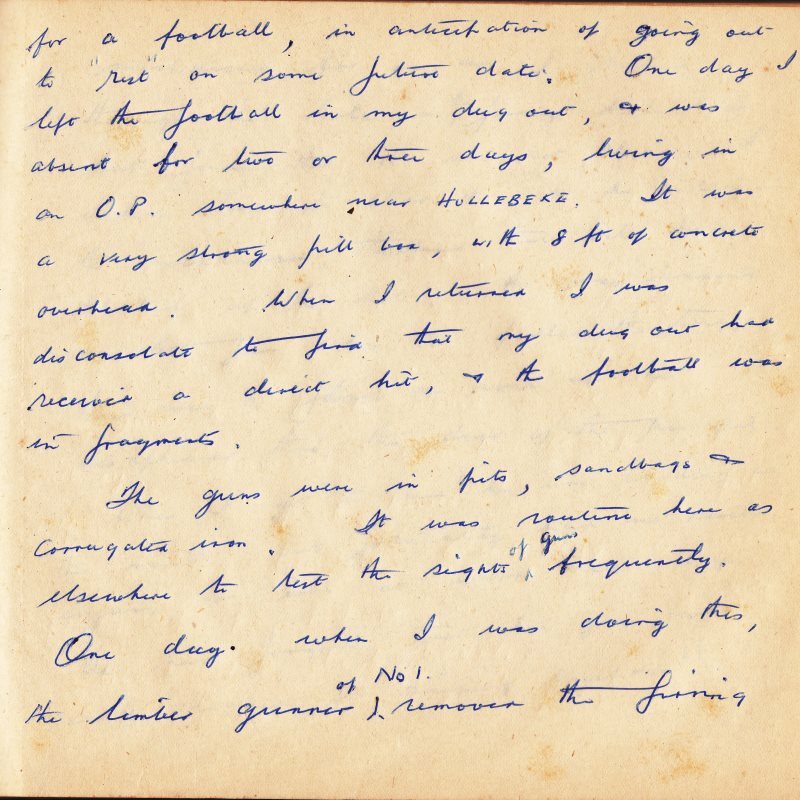 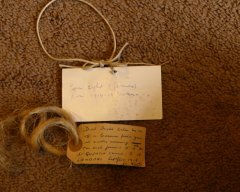 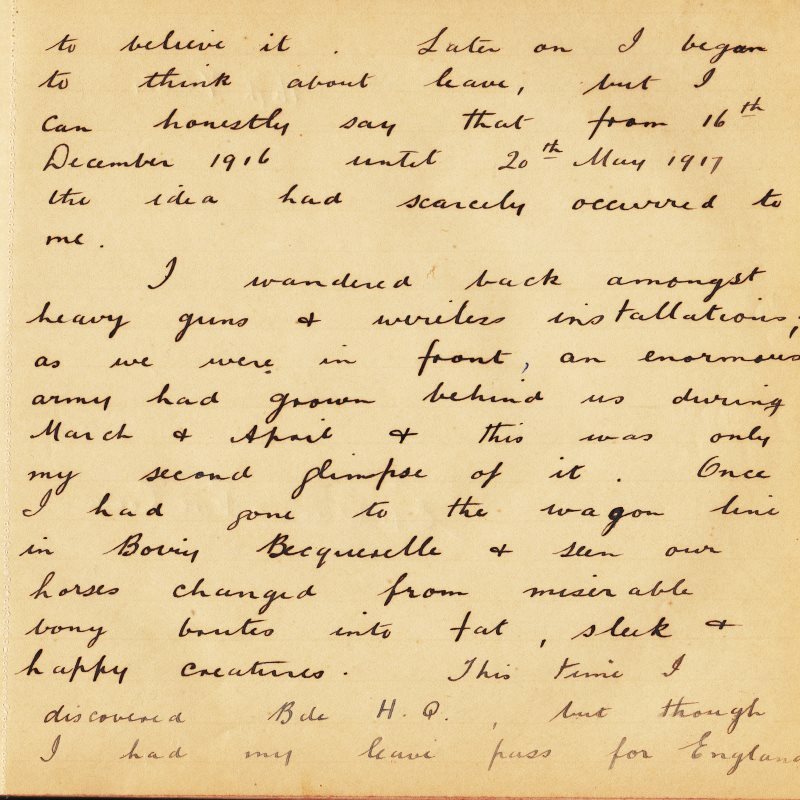 Also found, are all Cyril's letters from the front, written to his family in London during 1917 and 1918. 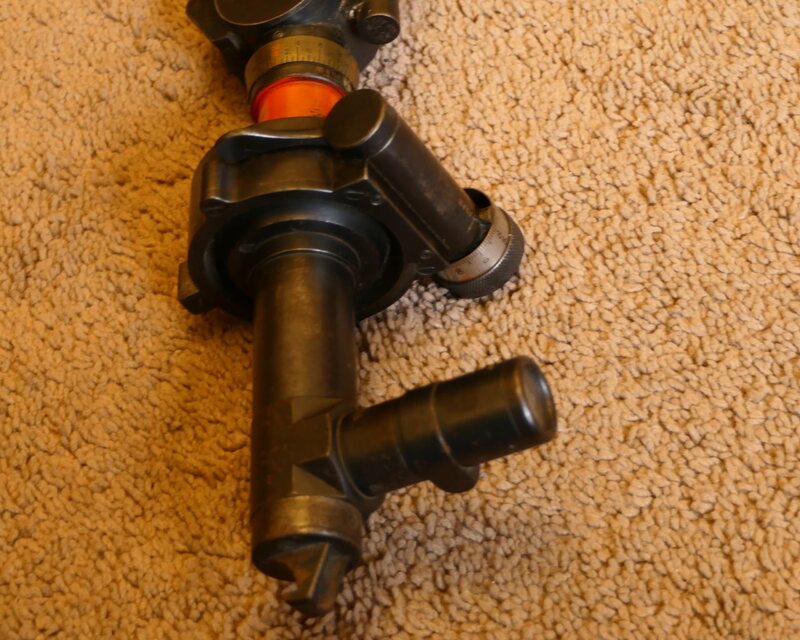 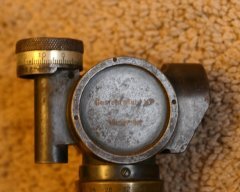 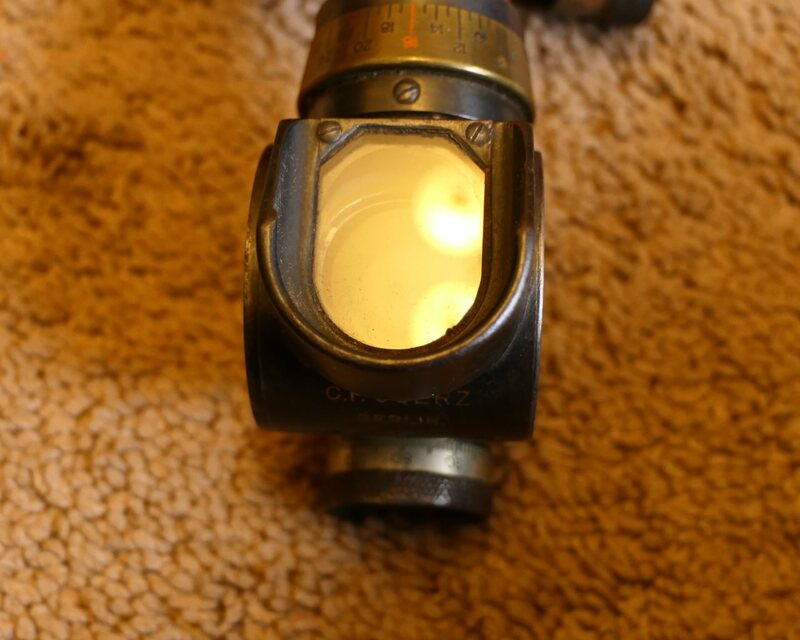 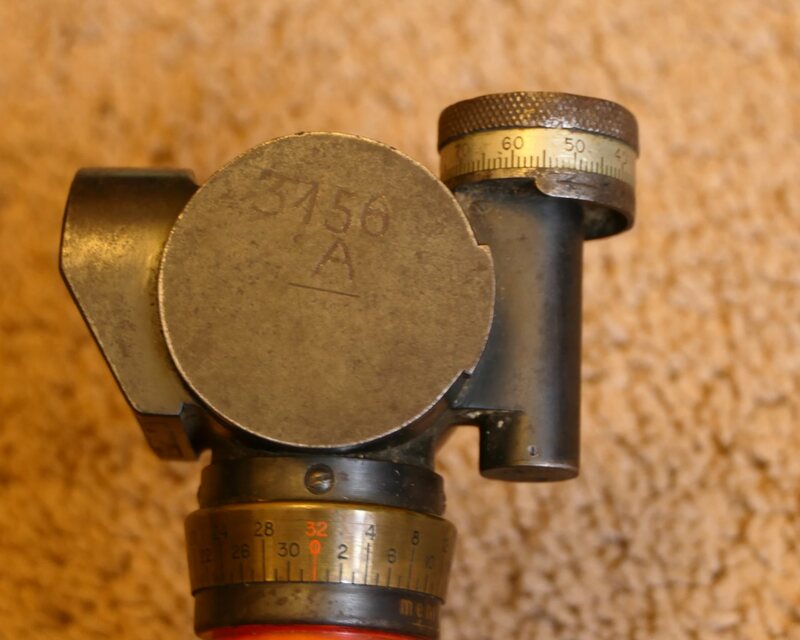 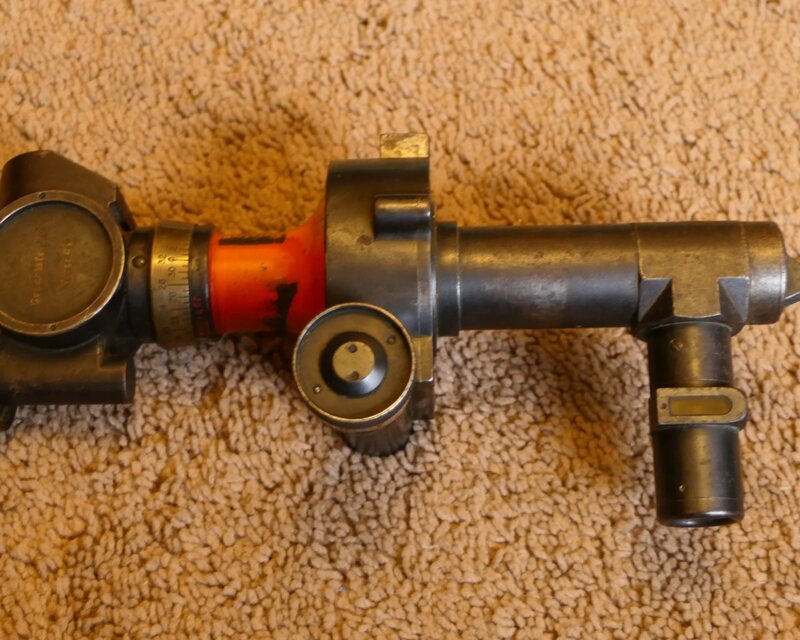 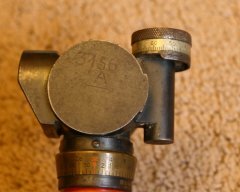 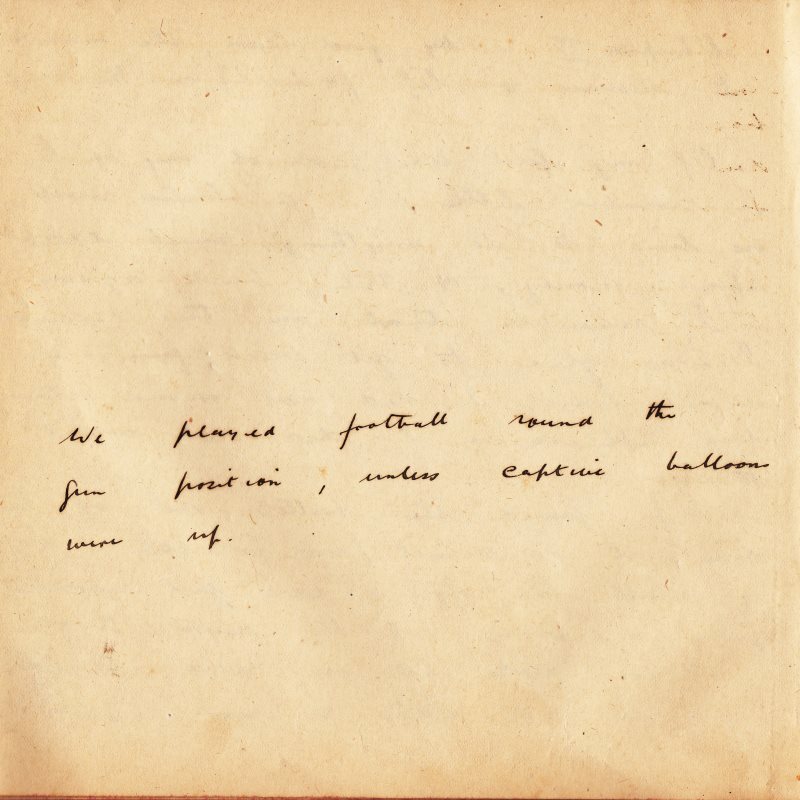 The links at the bottom of this page will take you to the first pages of these. 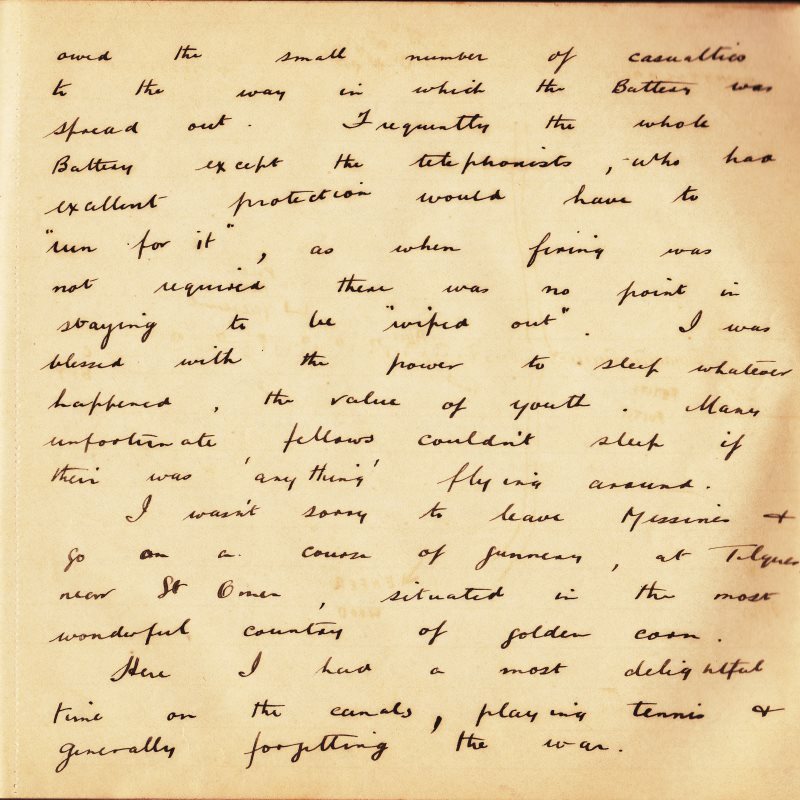 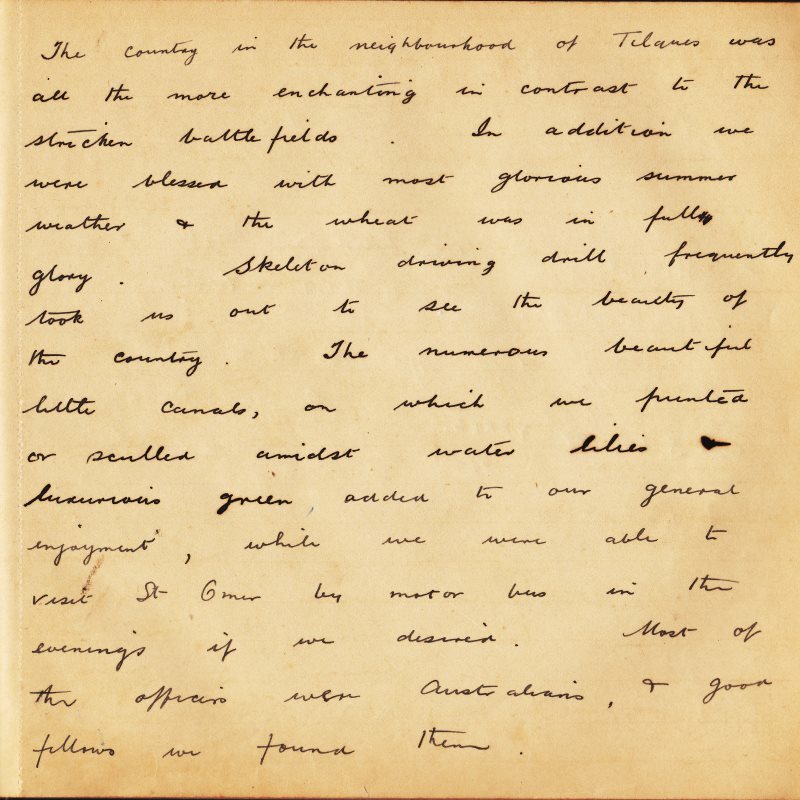 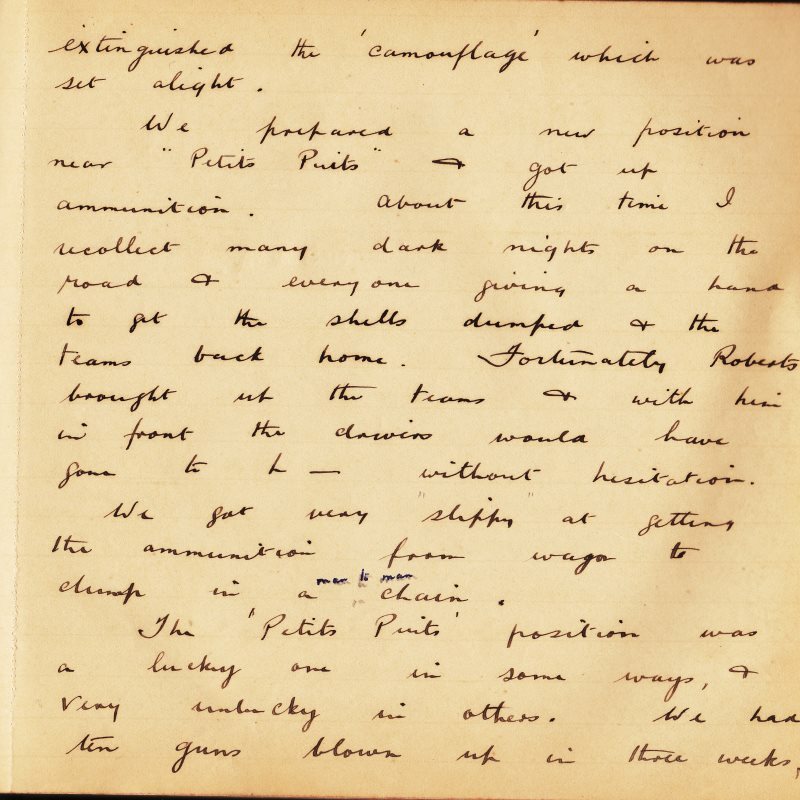 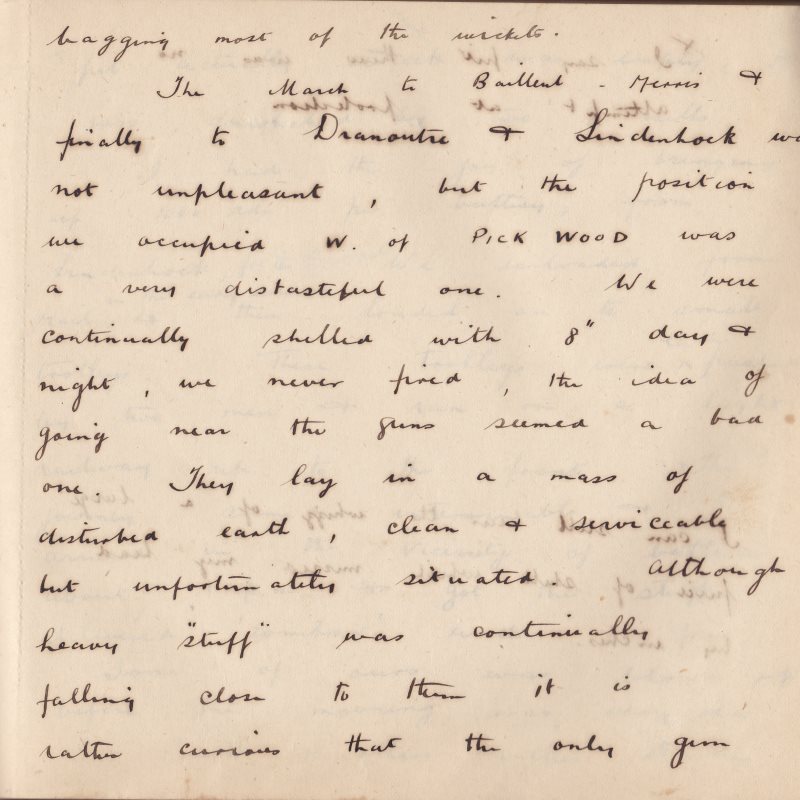 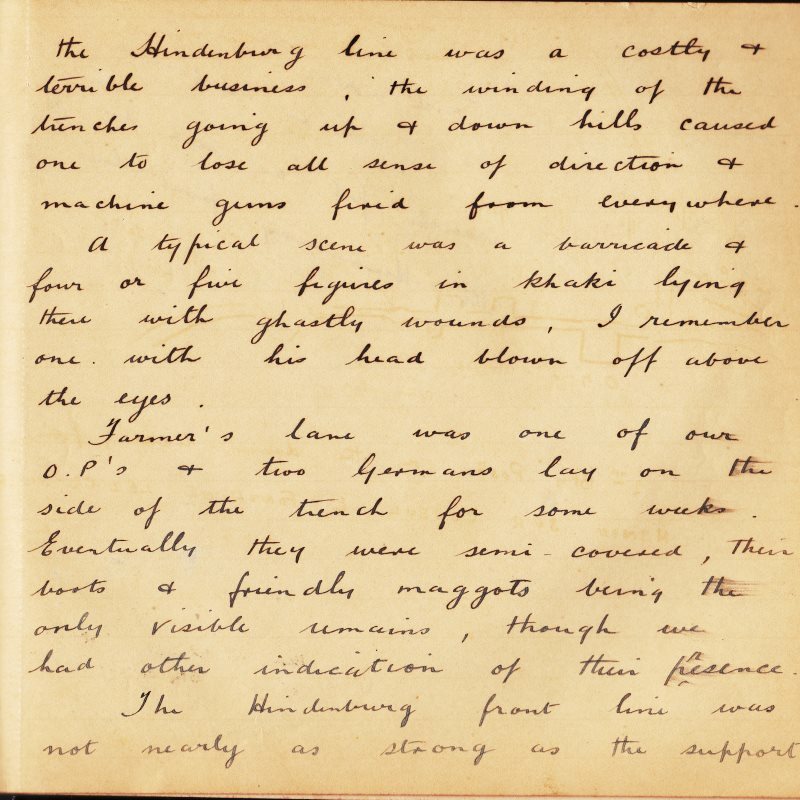 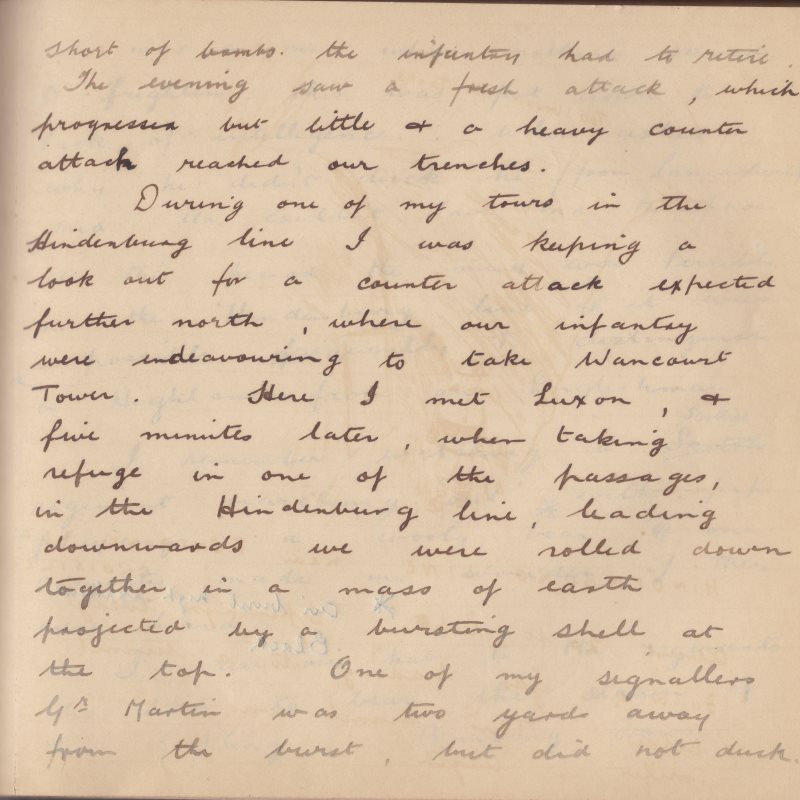 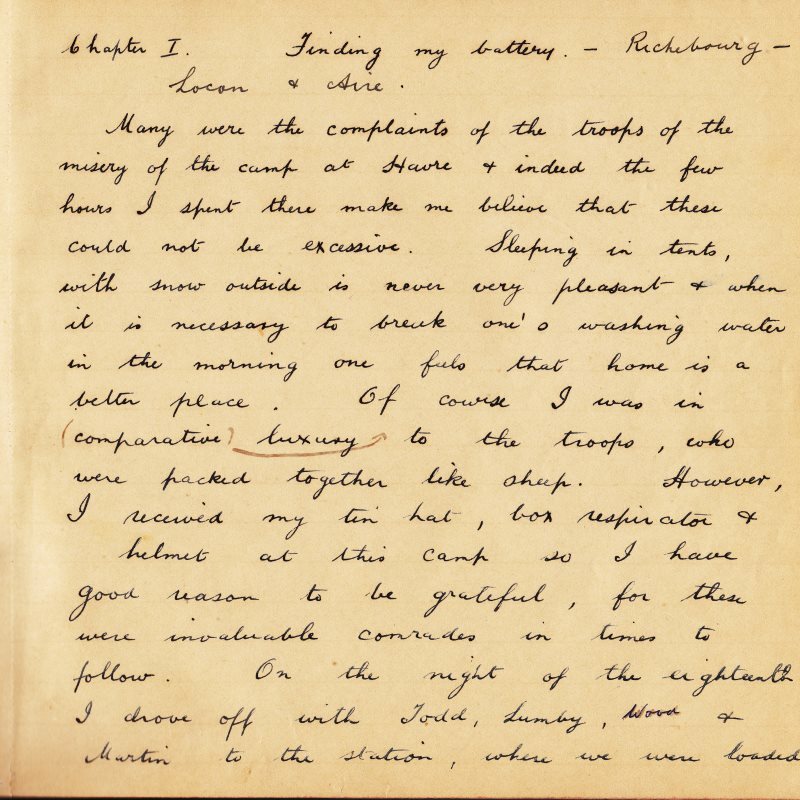 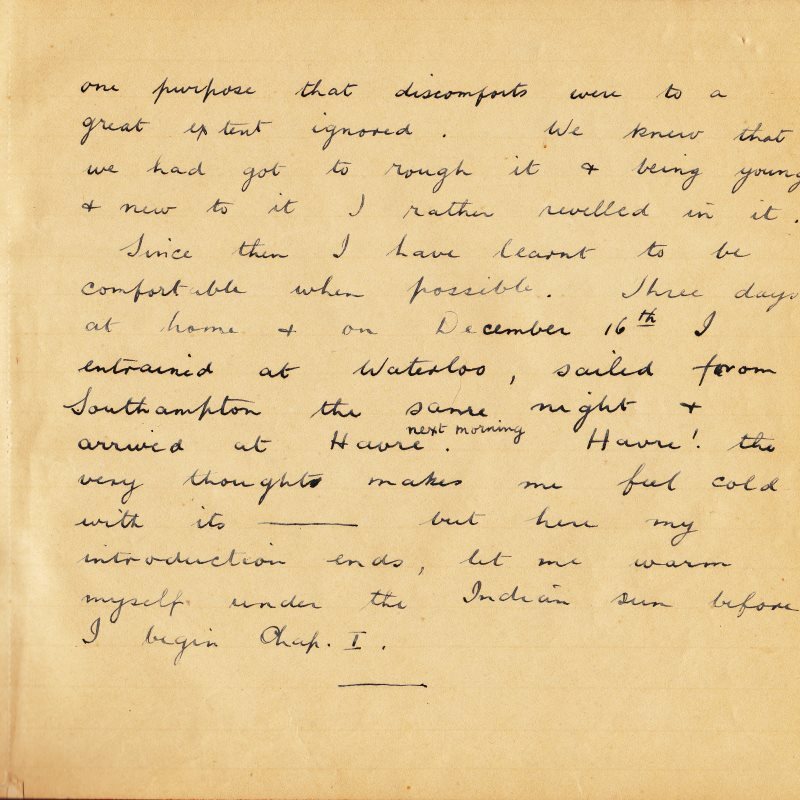 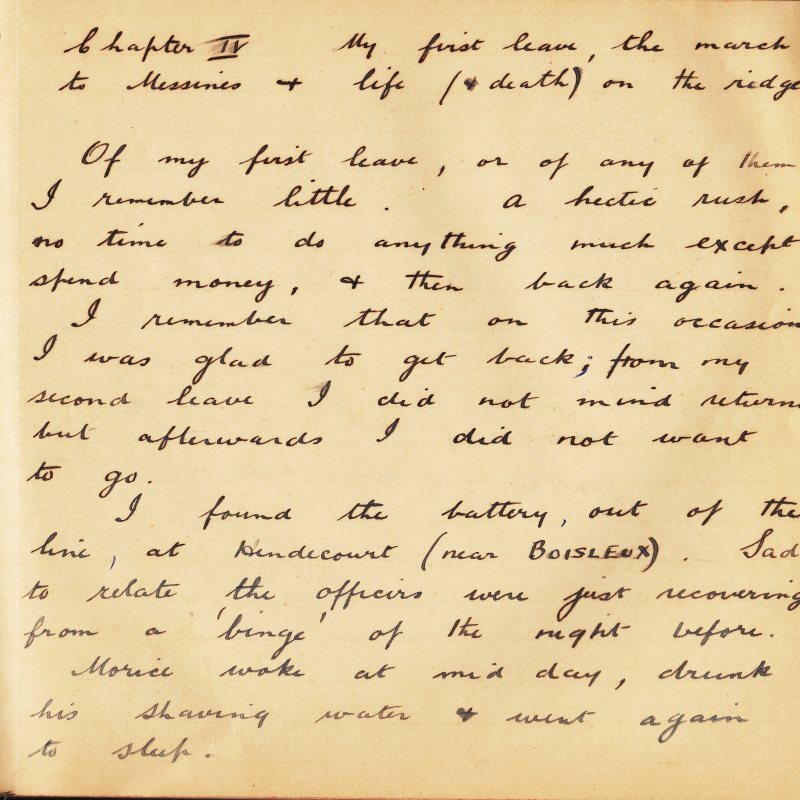 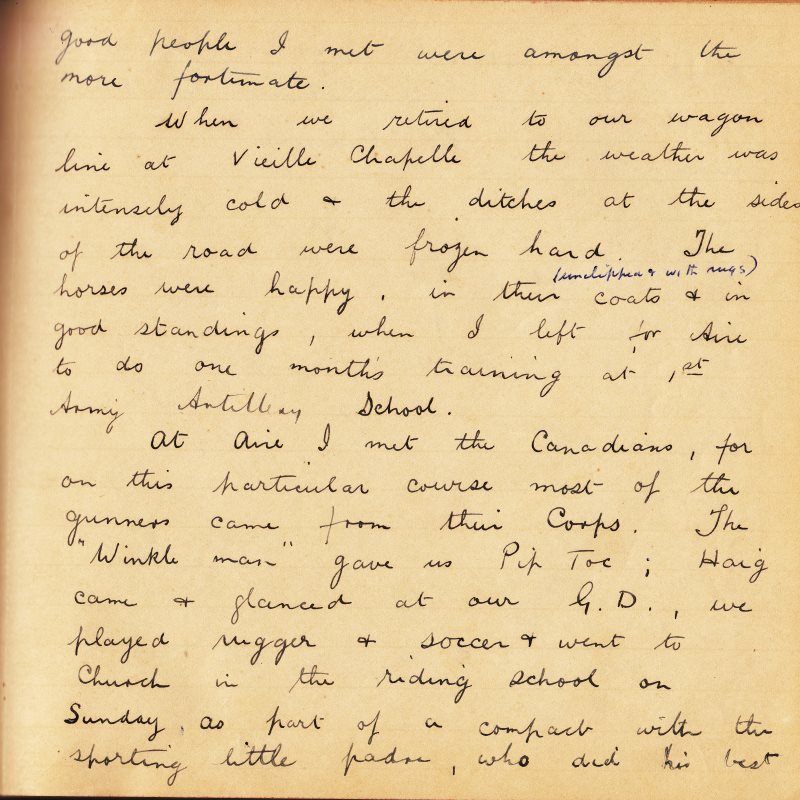 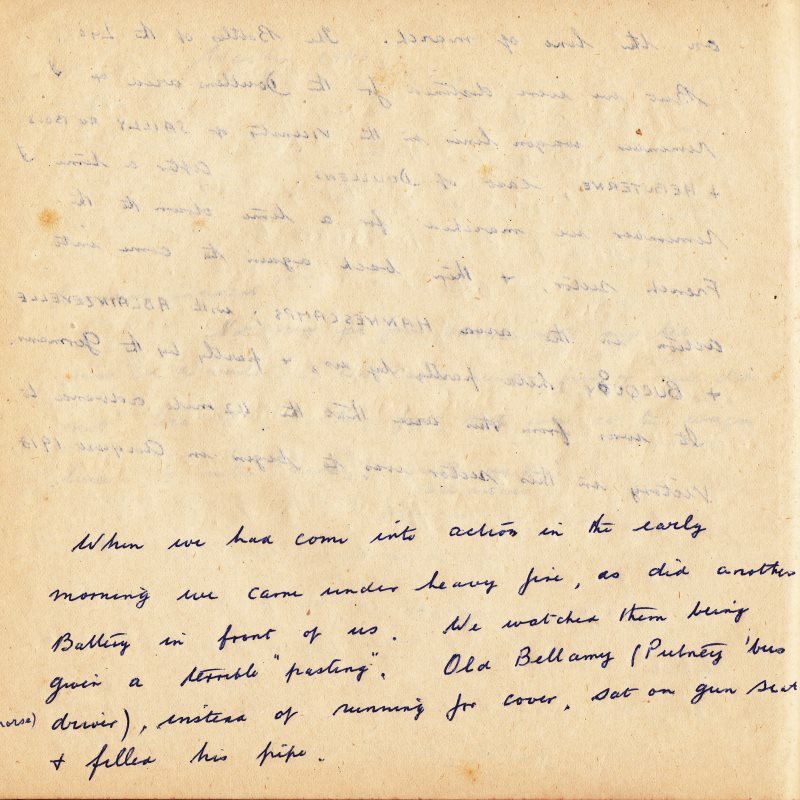 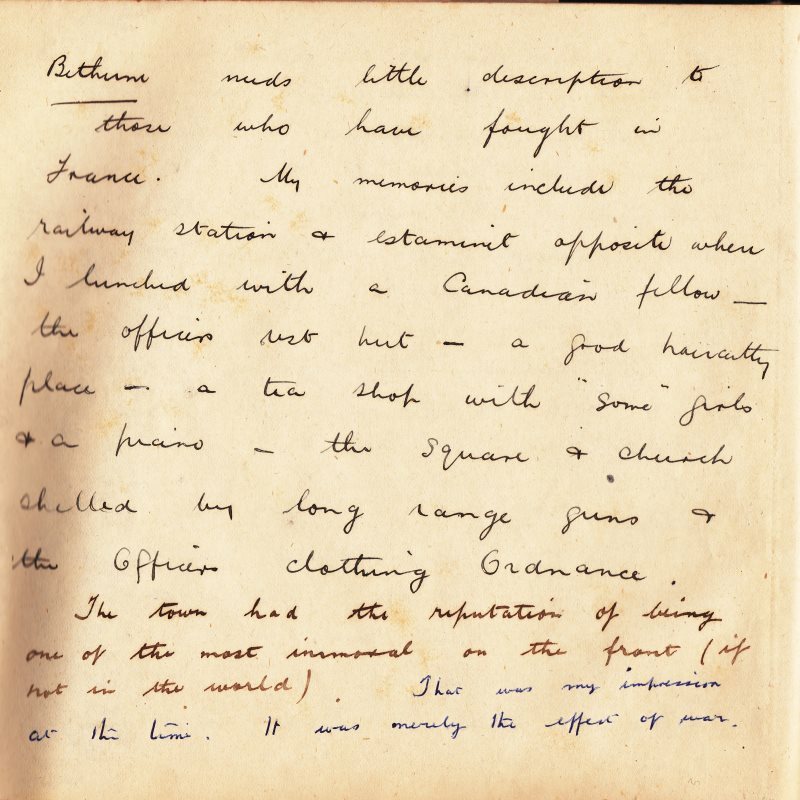 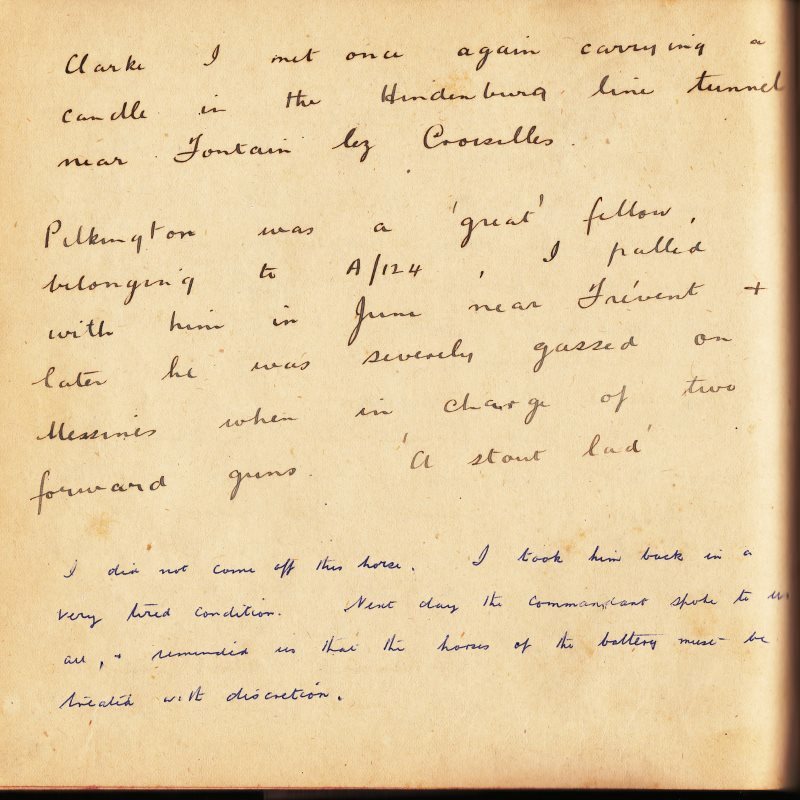 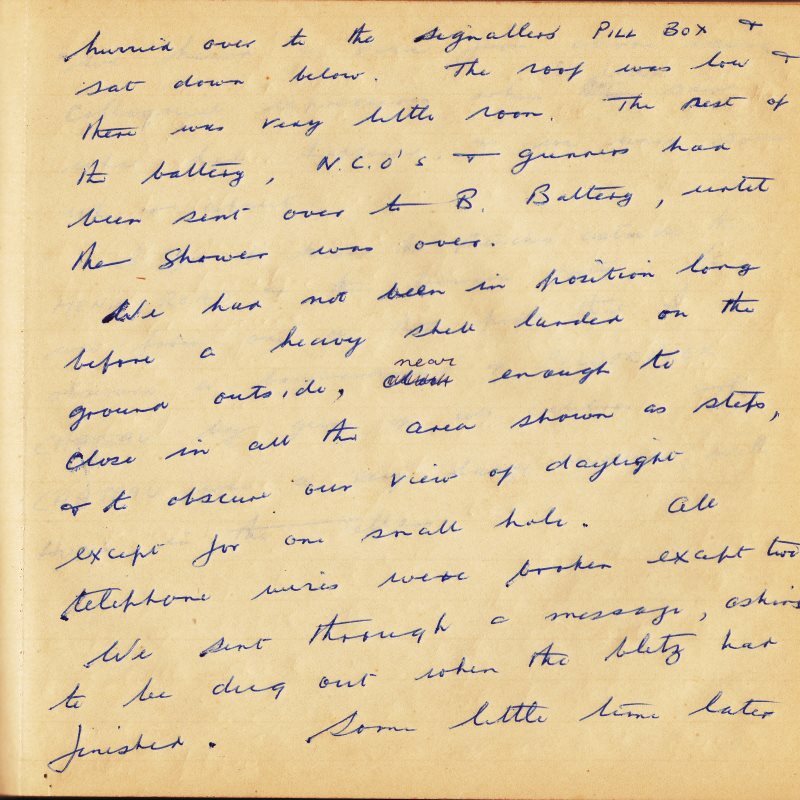 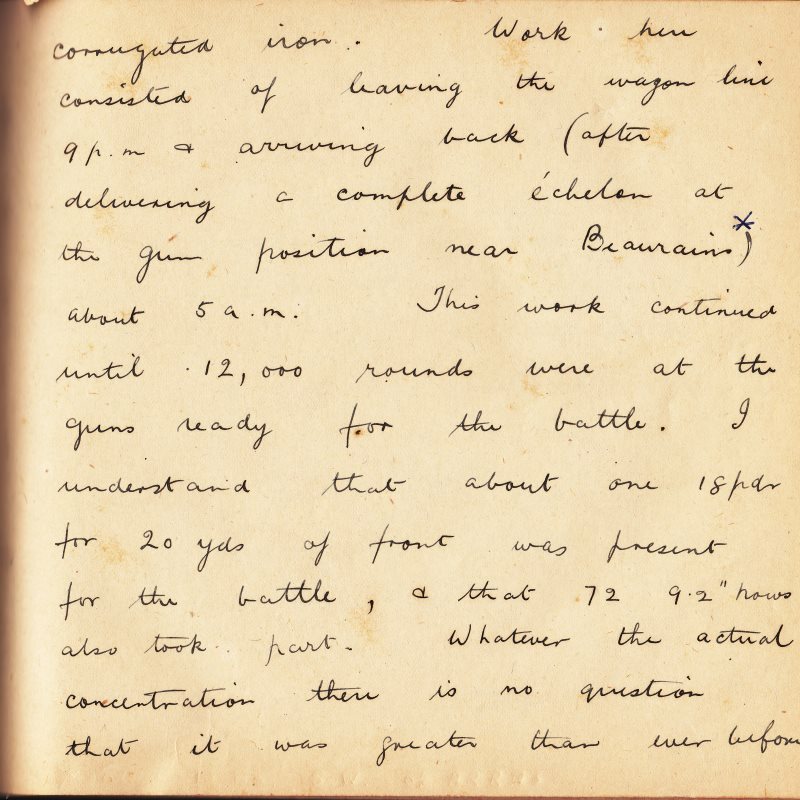 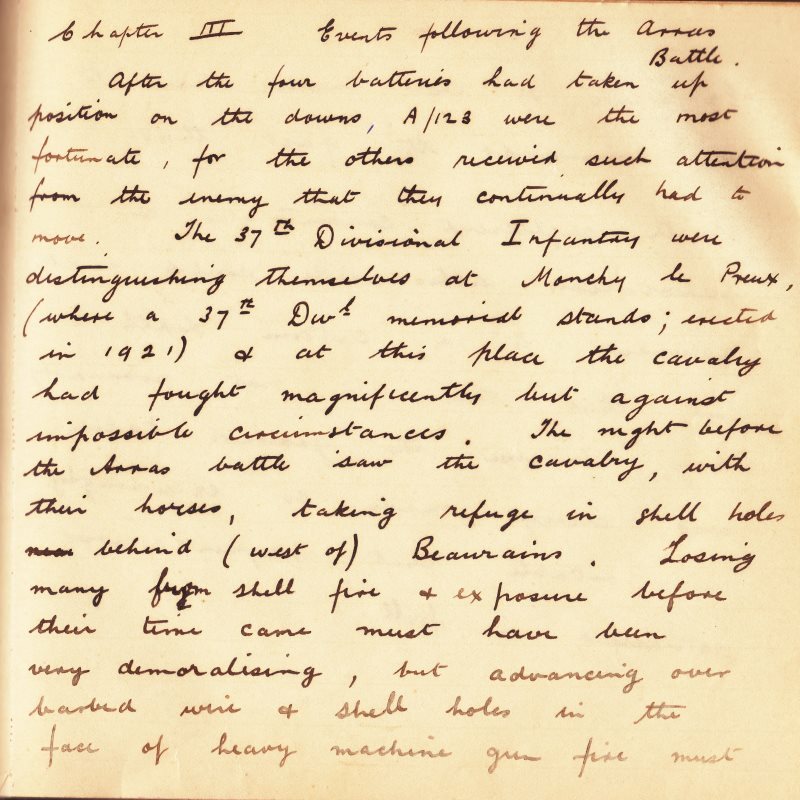 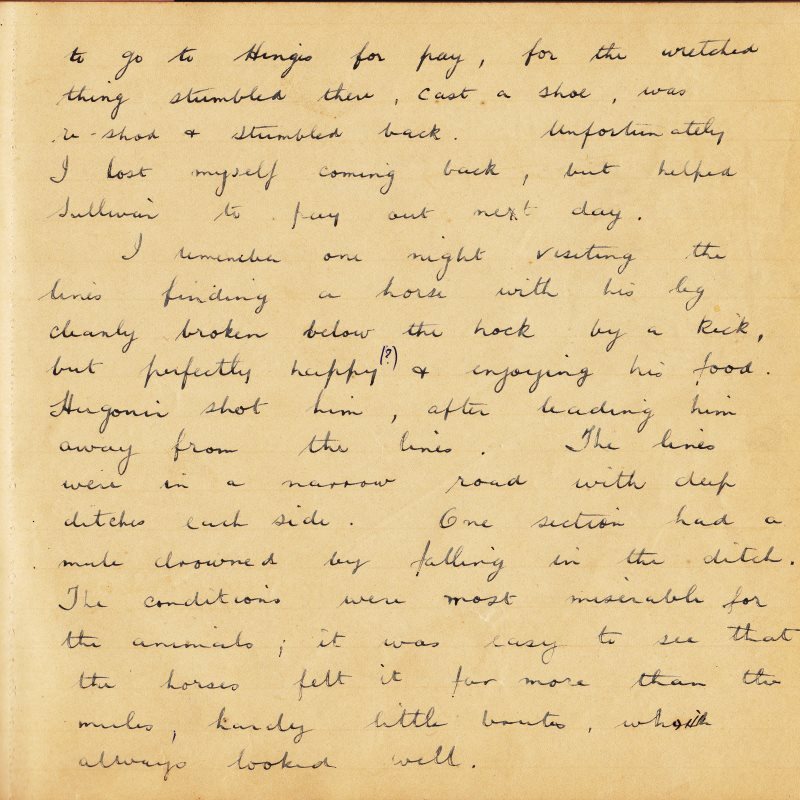 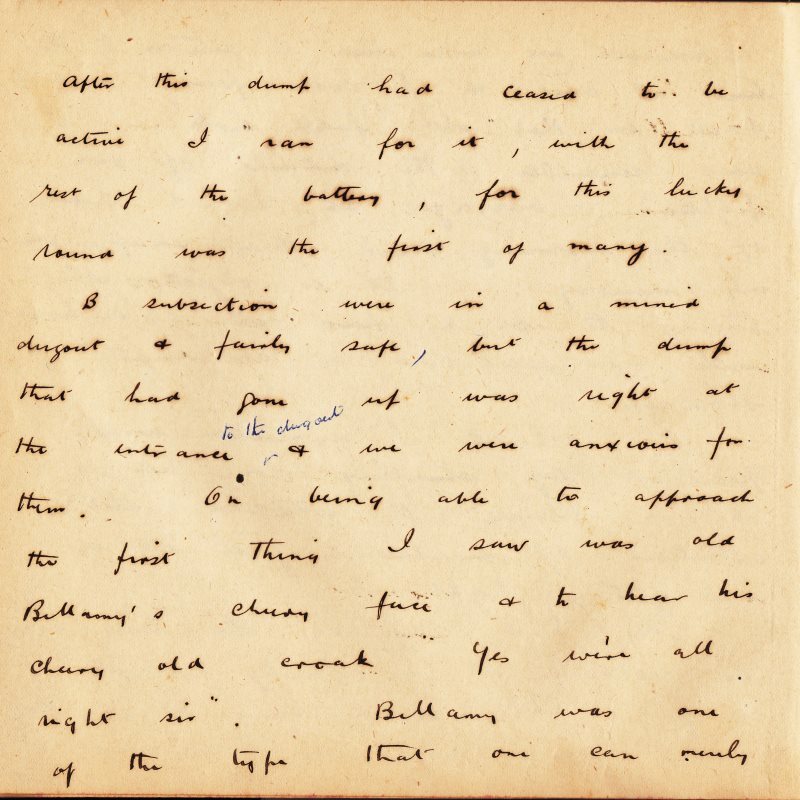 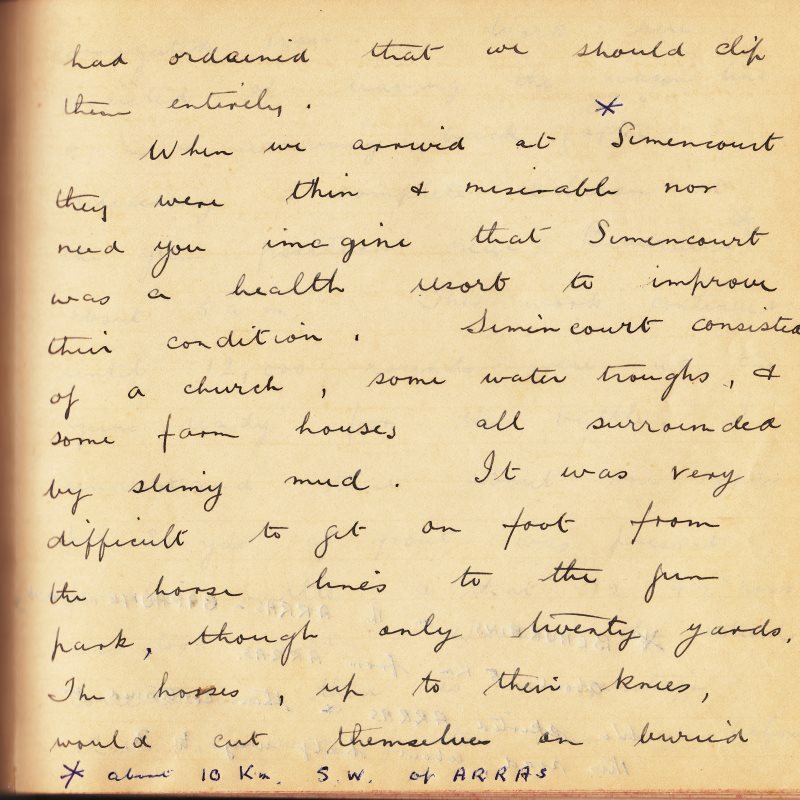 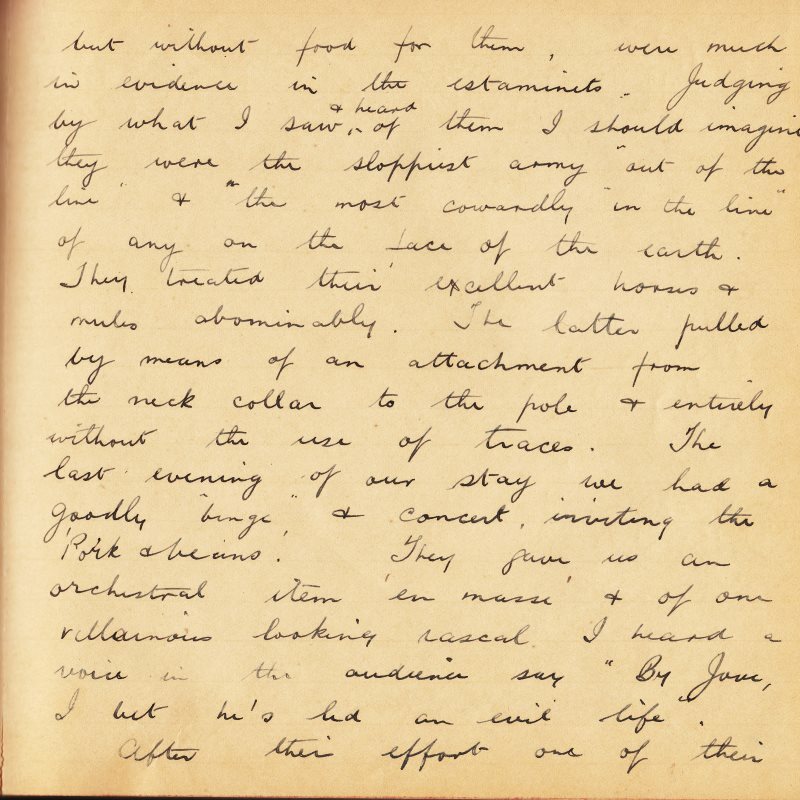 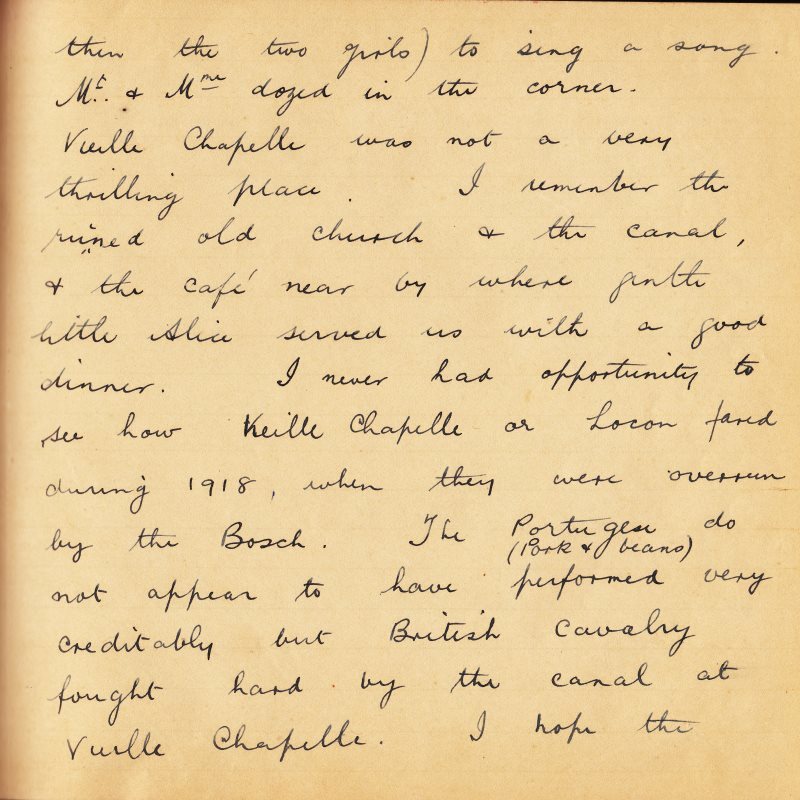 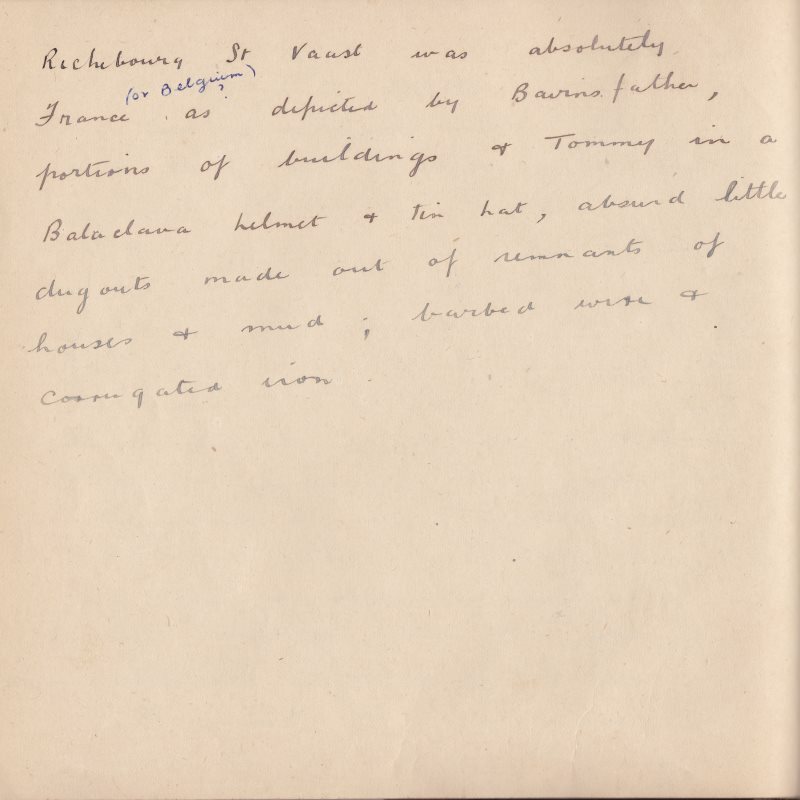 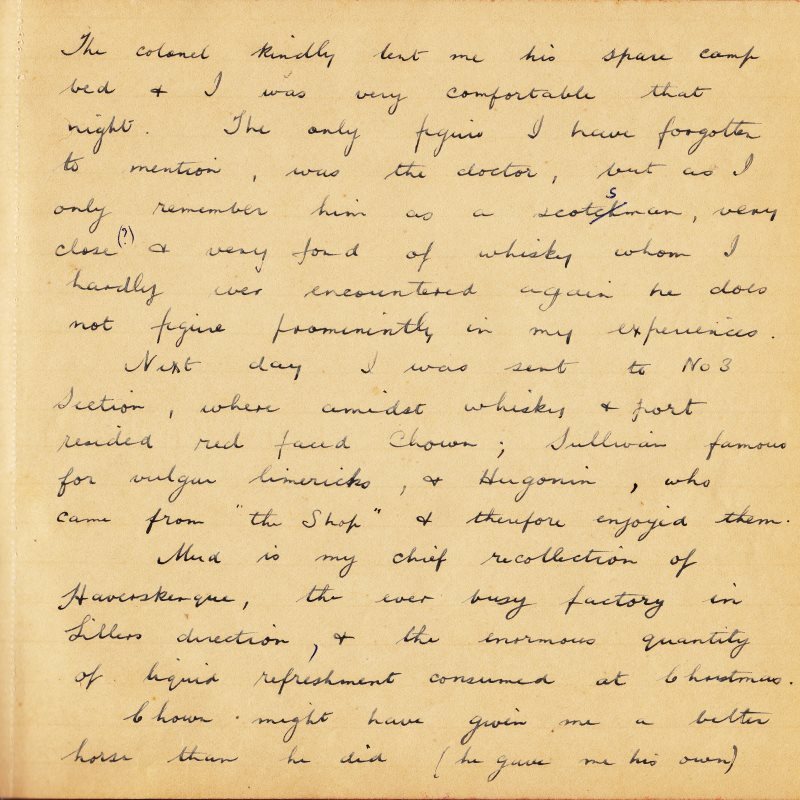 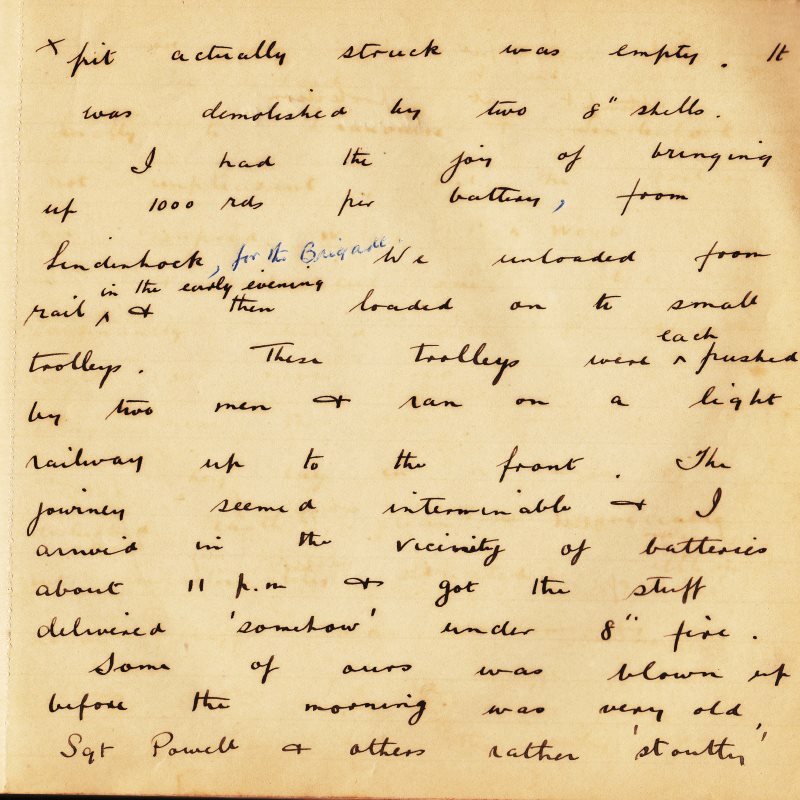 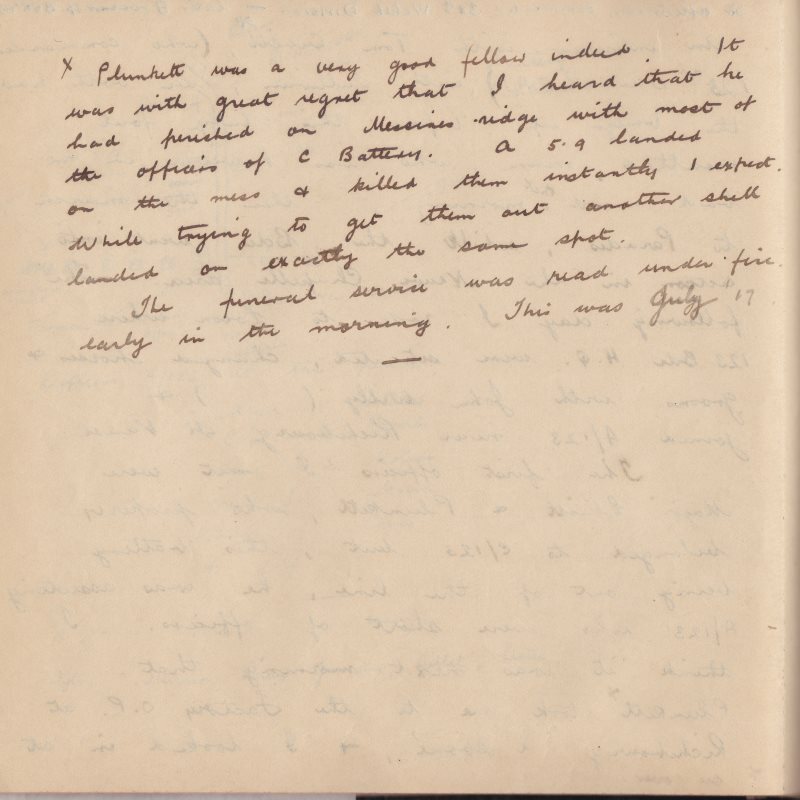 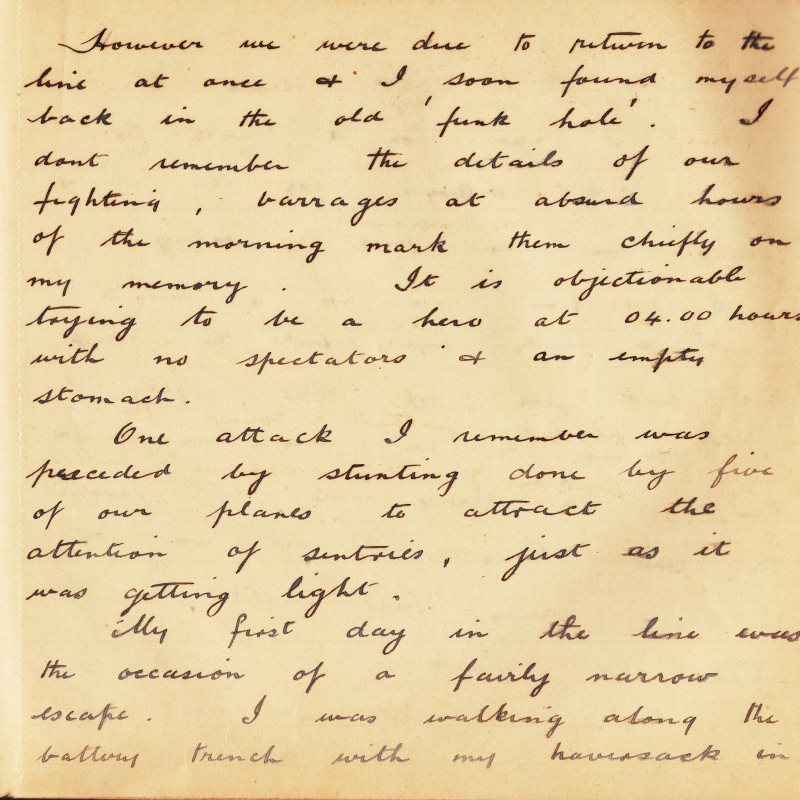 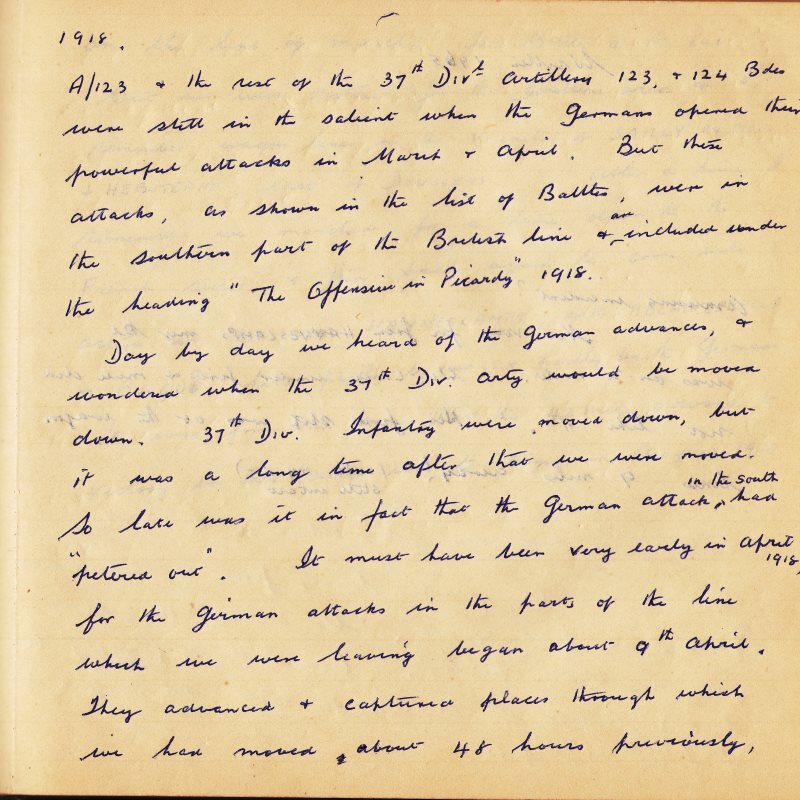 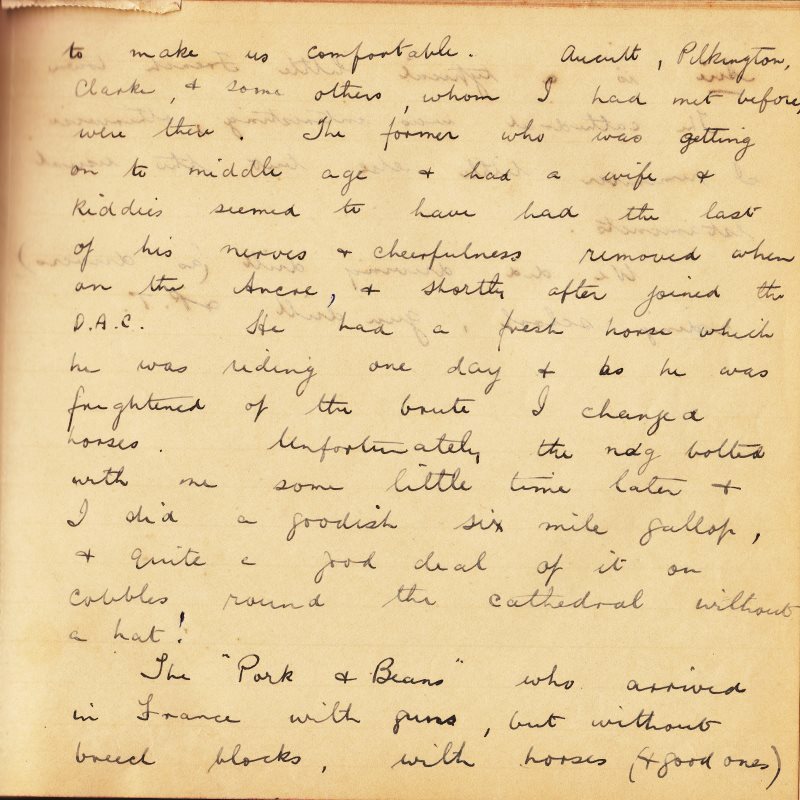 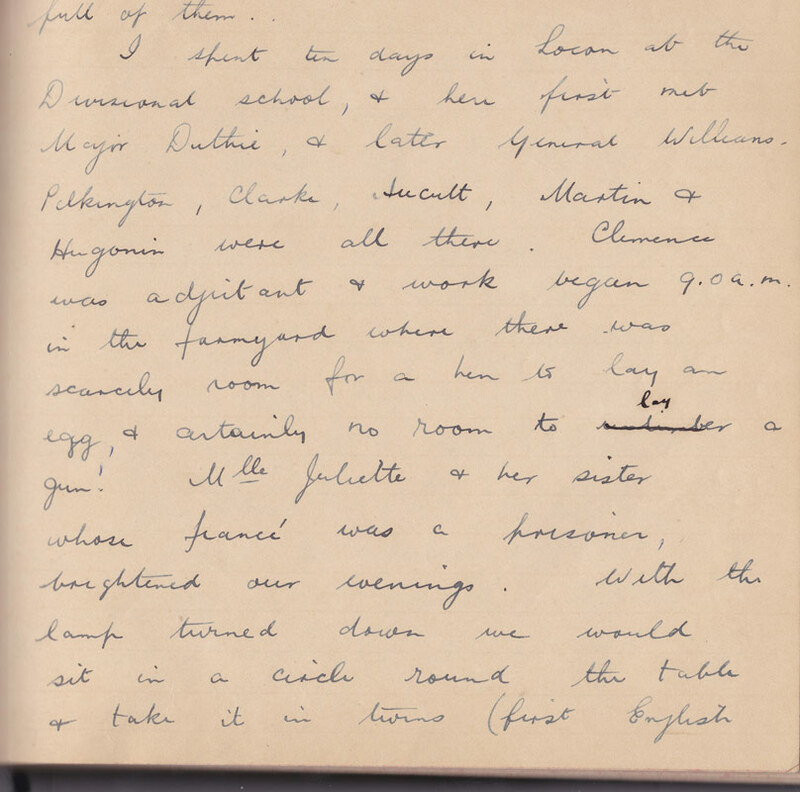 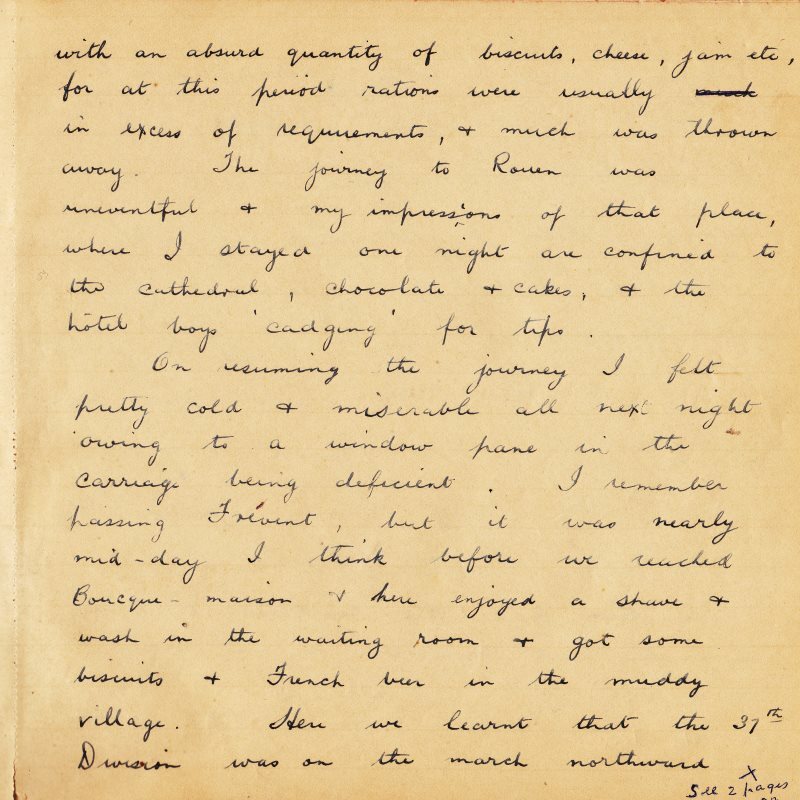 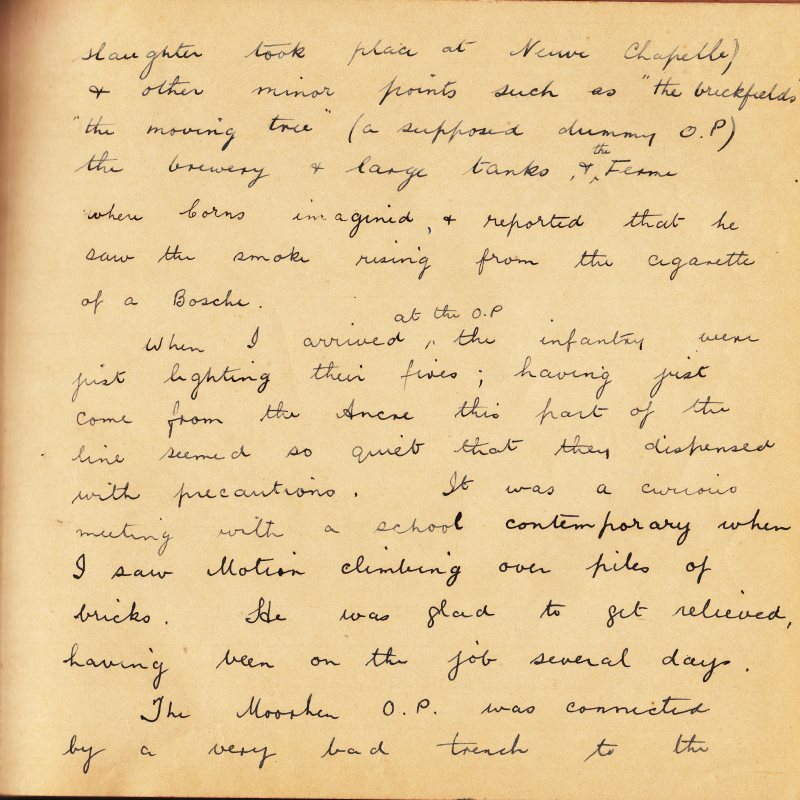 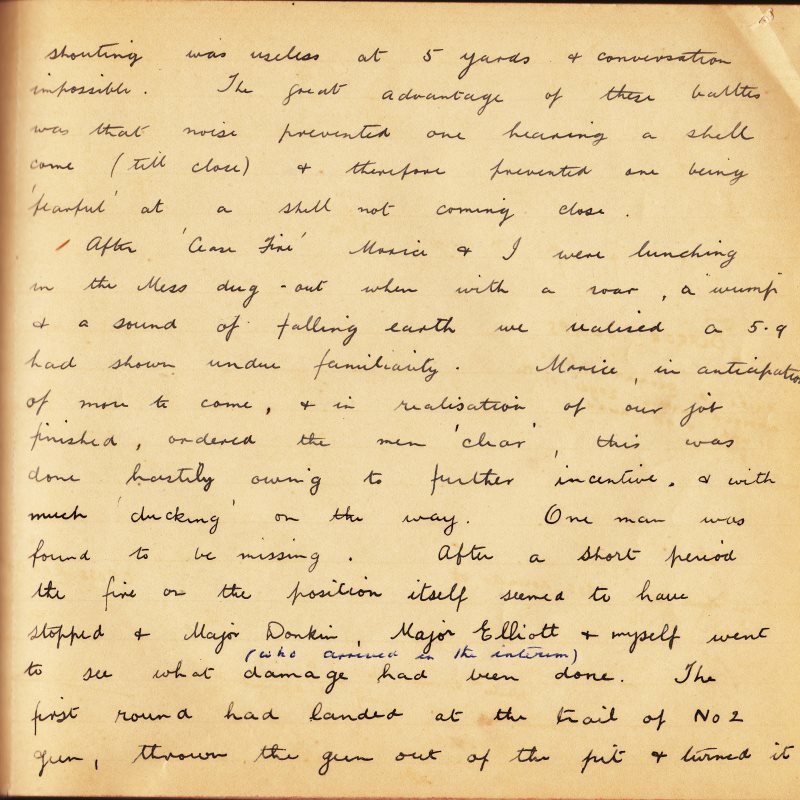 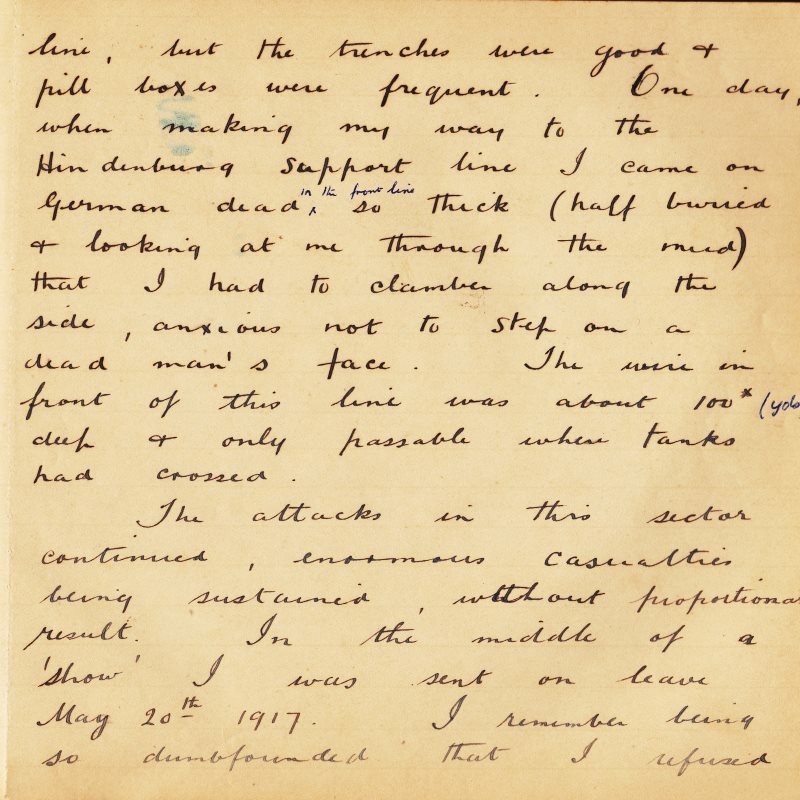 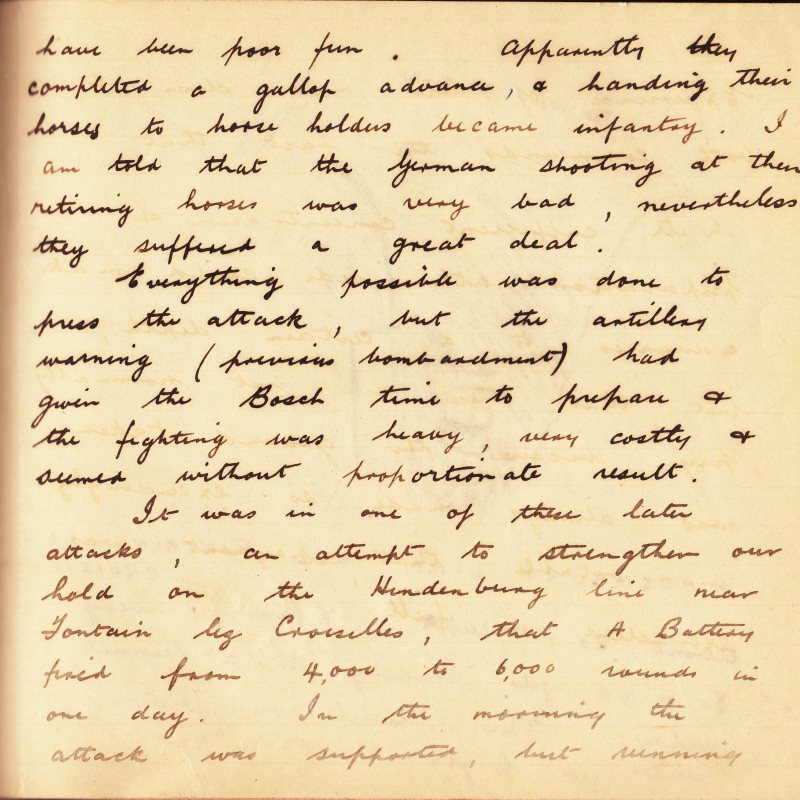 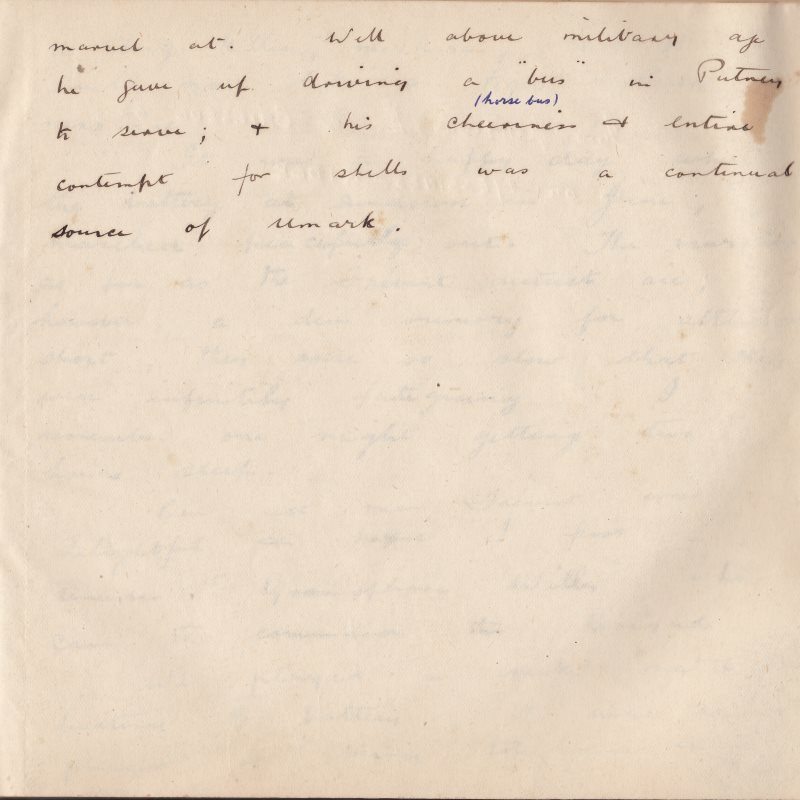 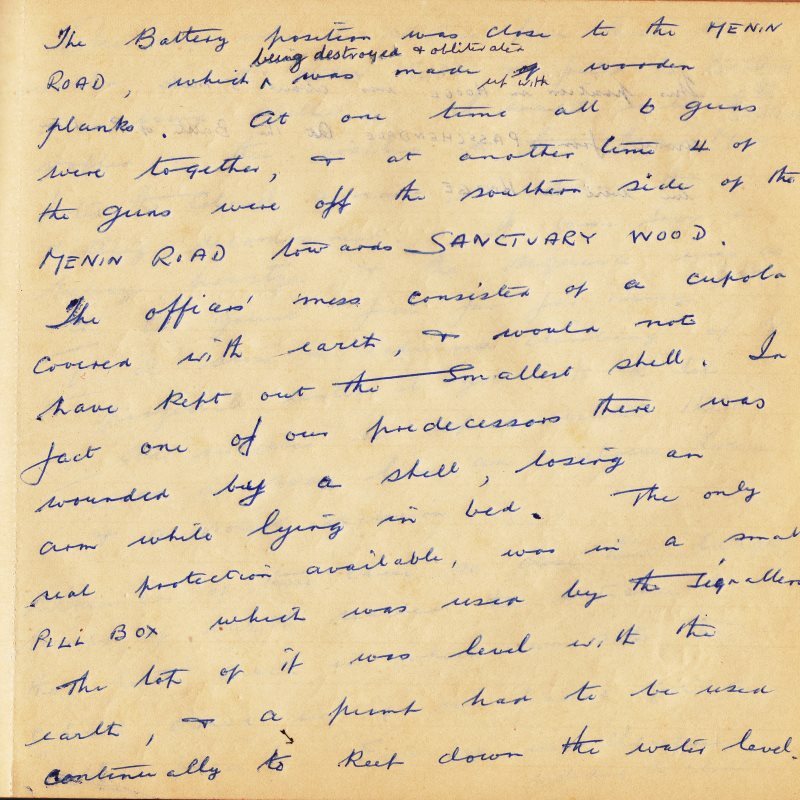 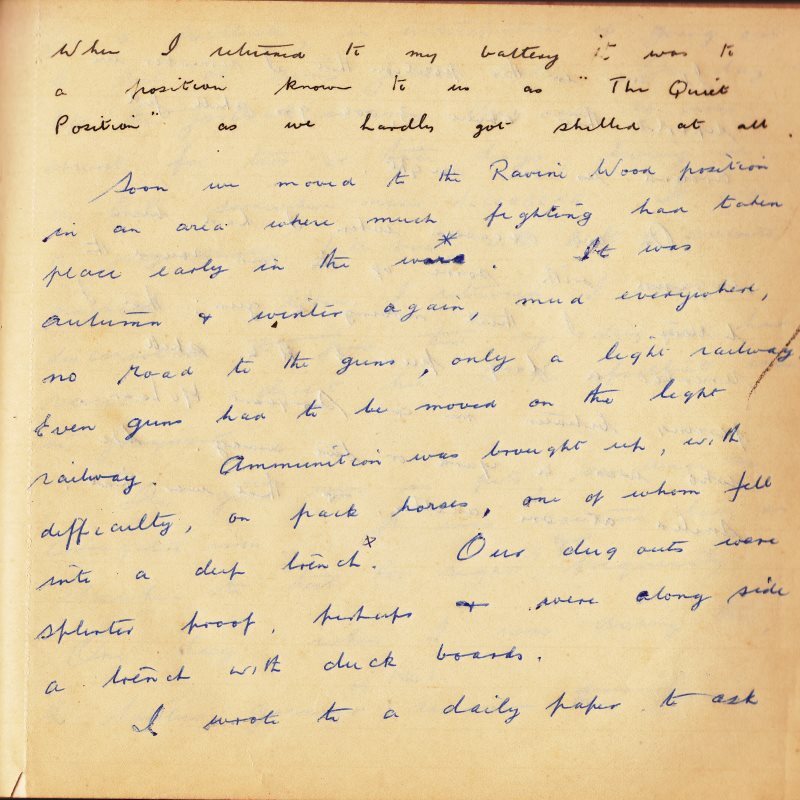 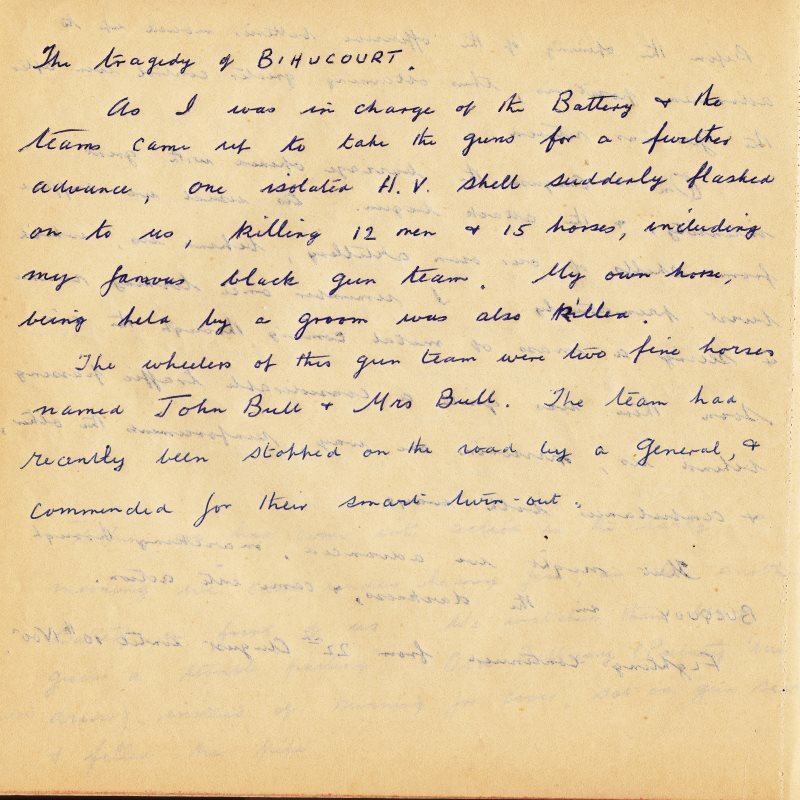 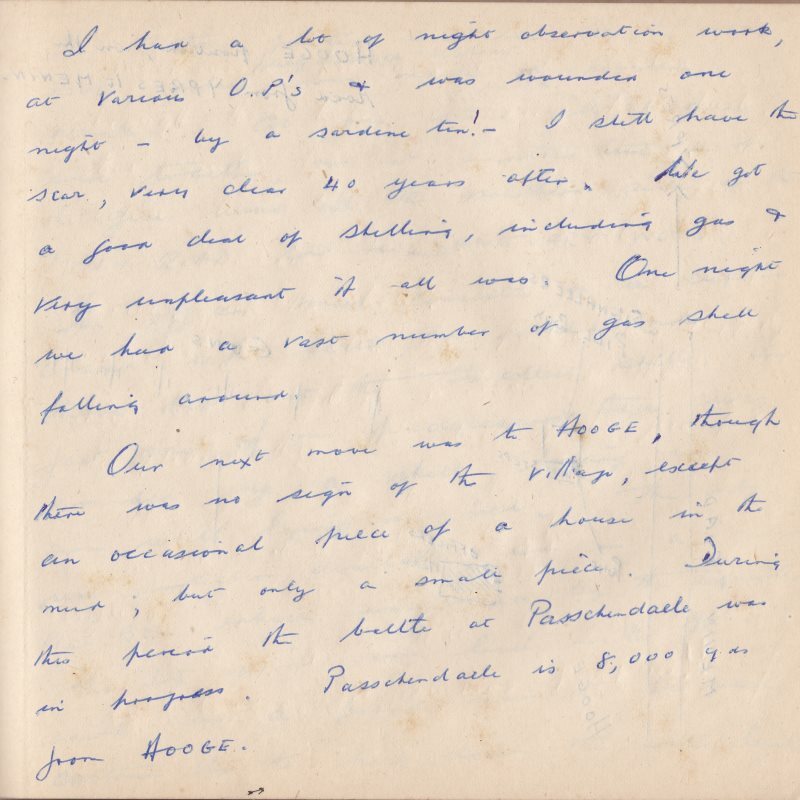 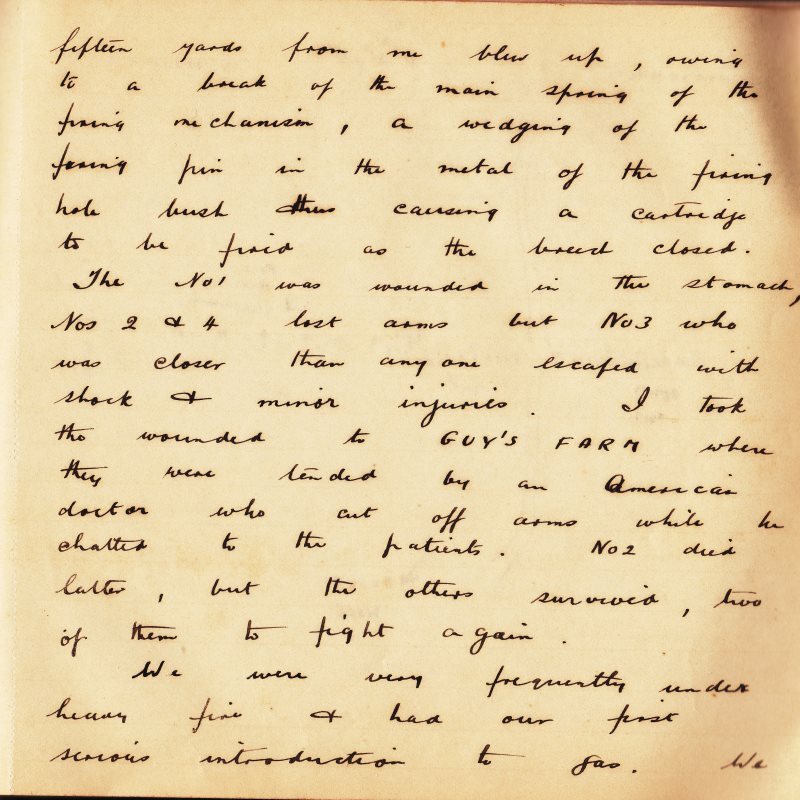 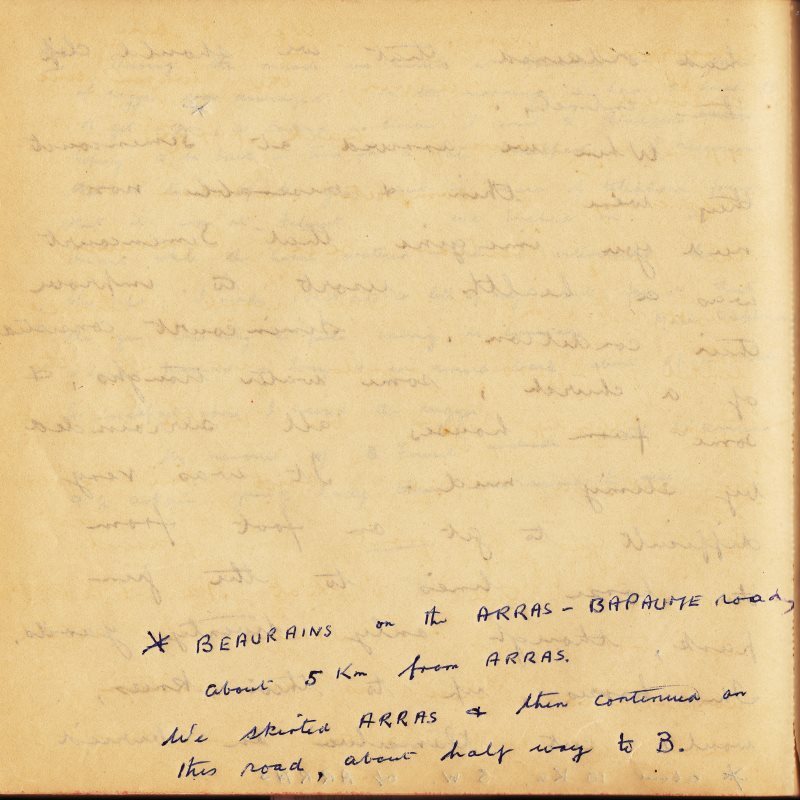 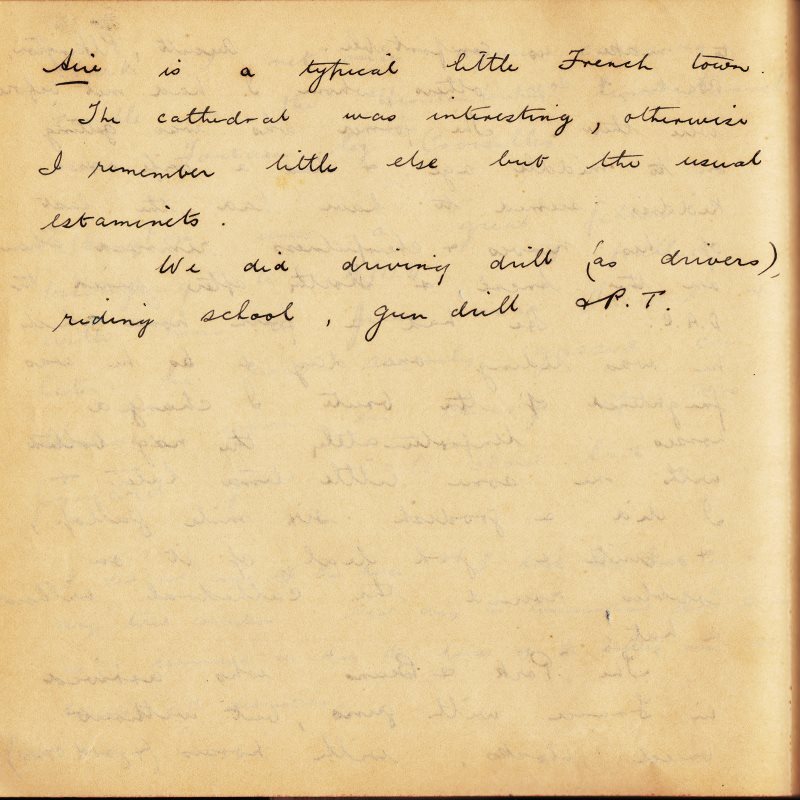 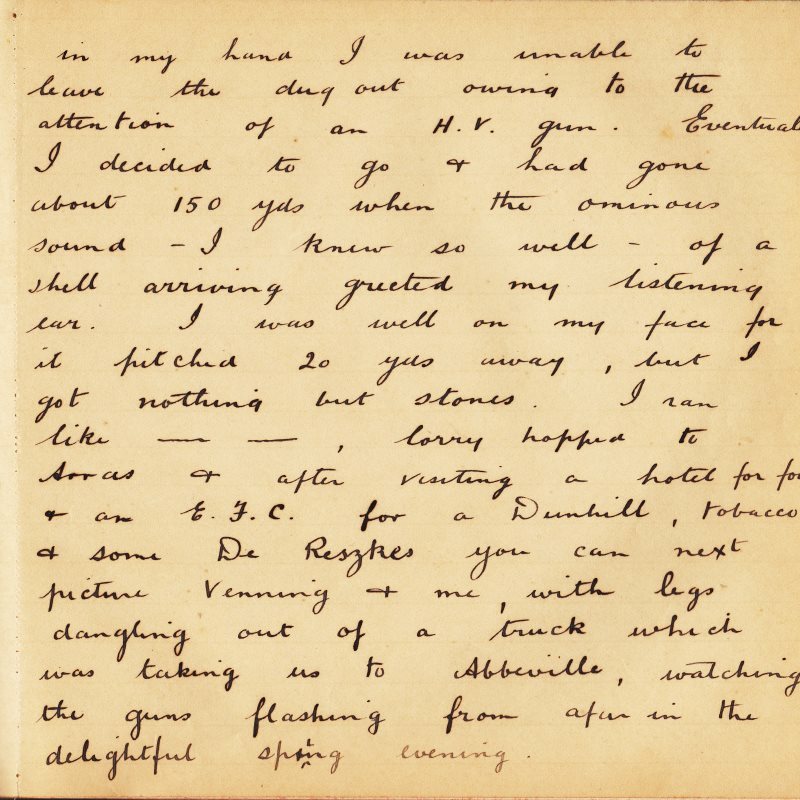 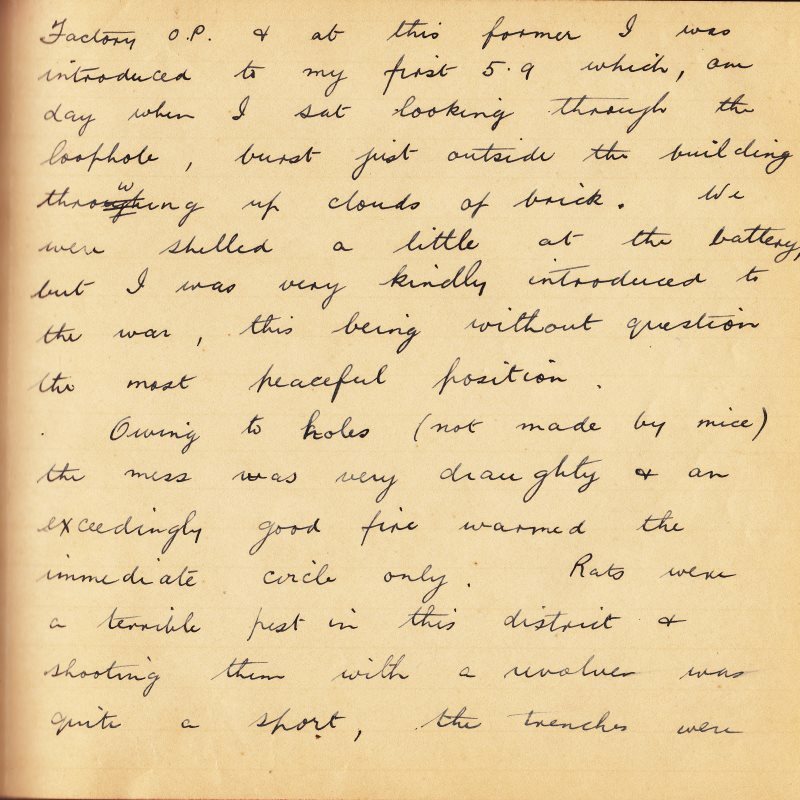 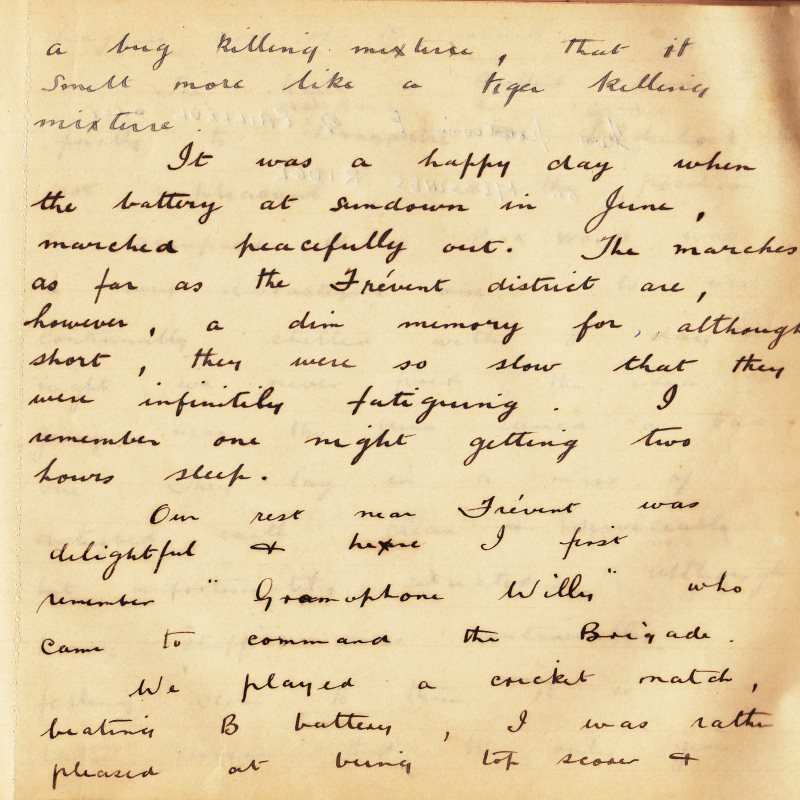 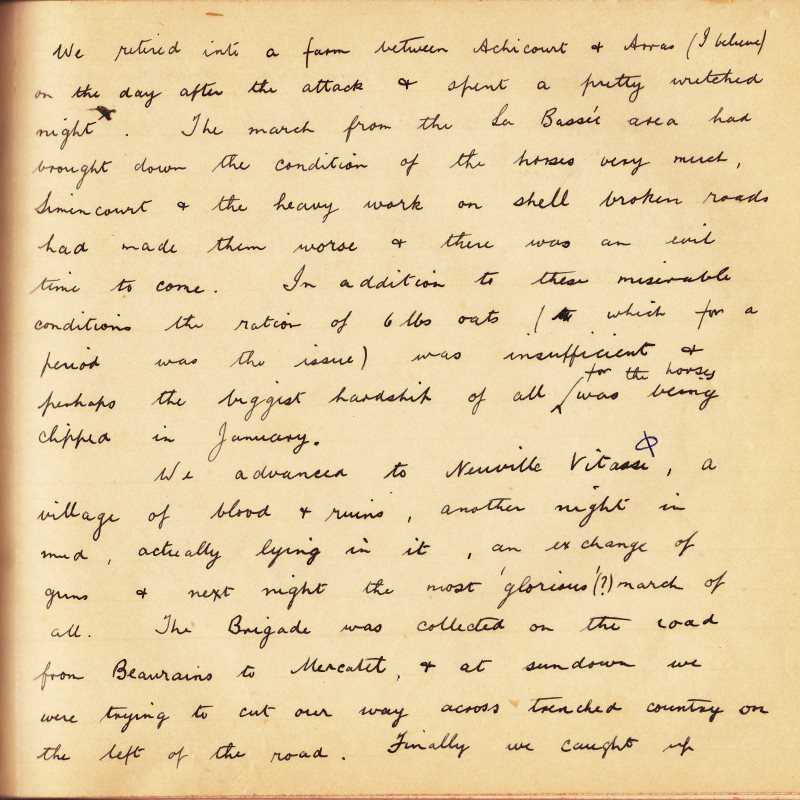 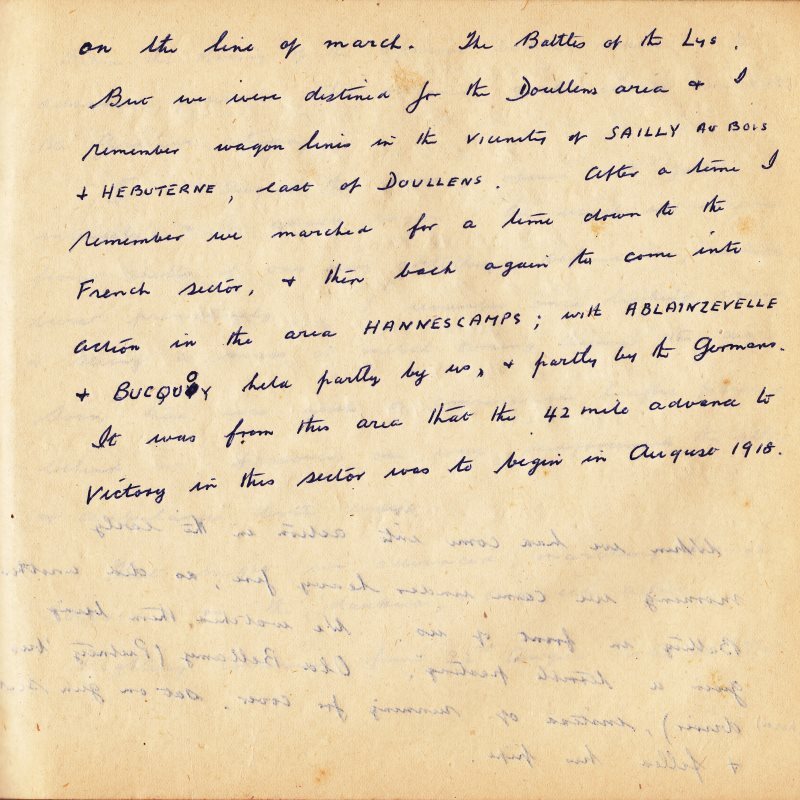 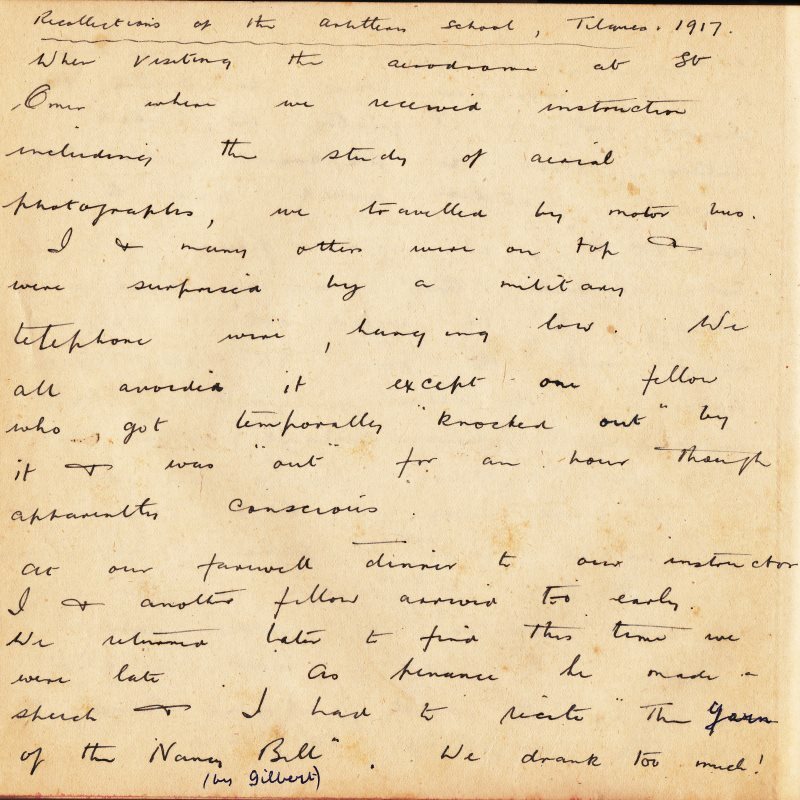 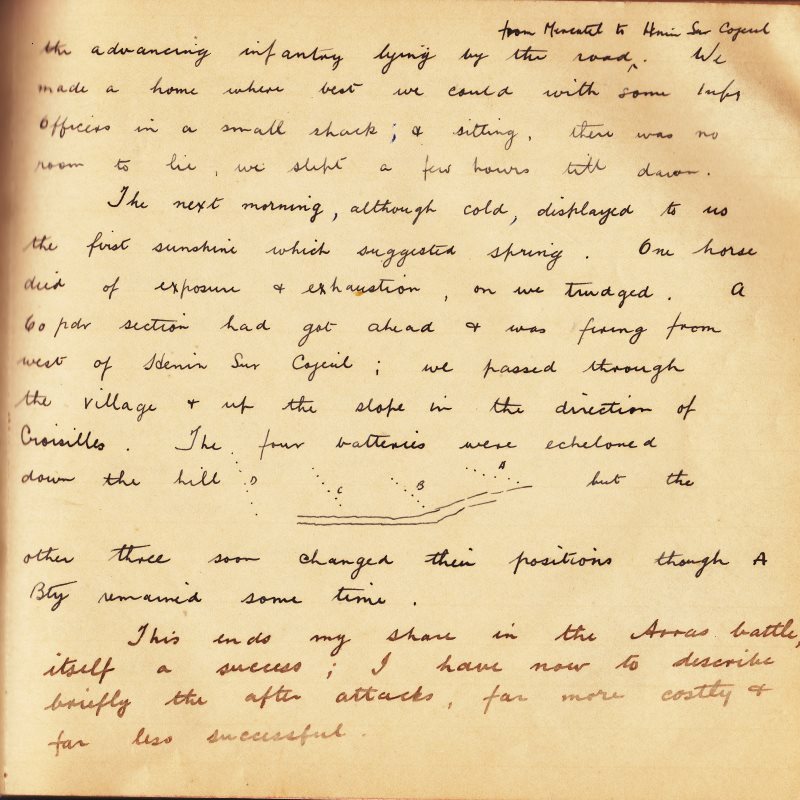 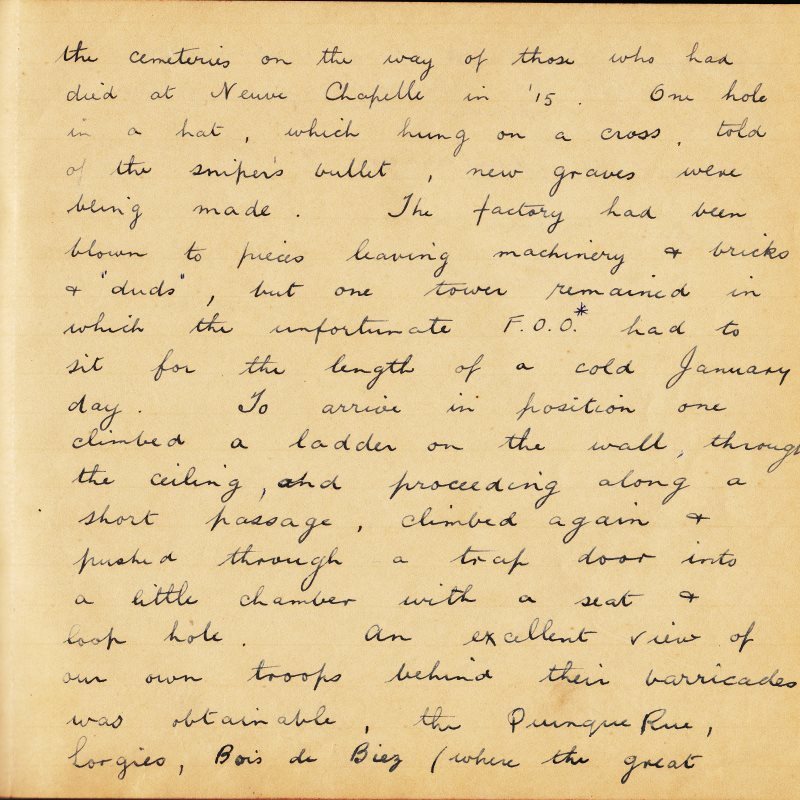 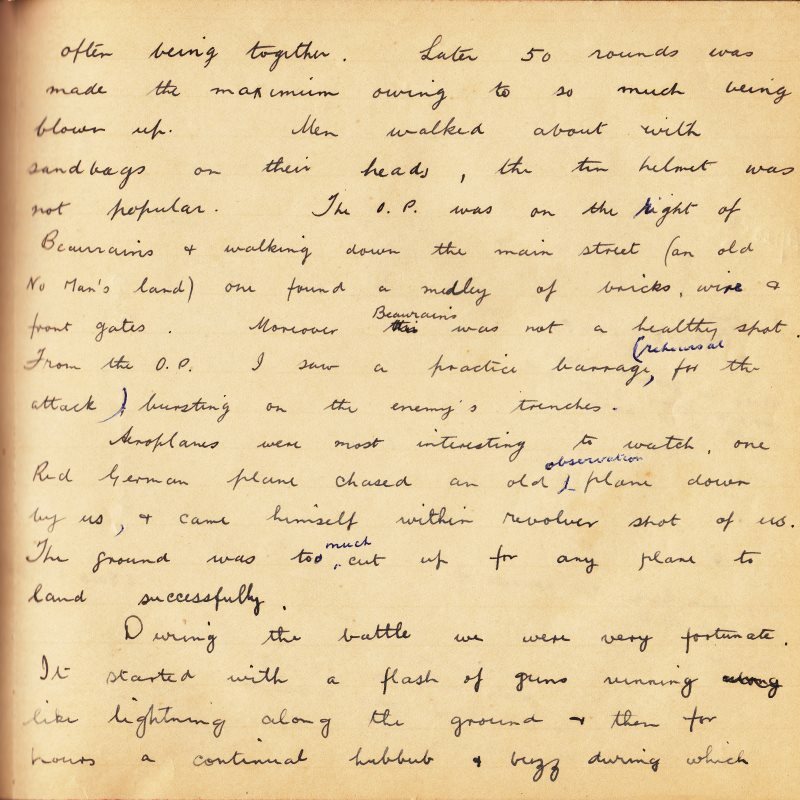 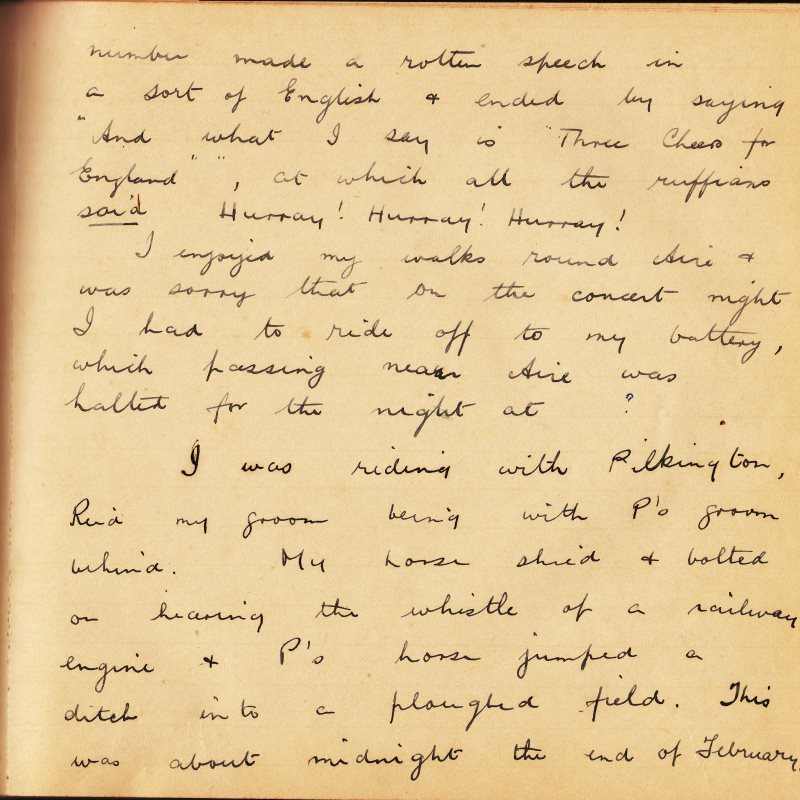 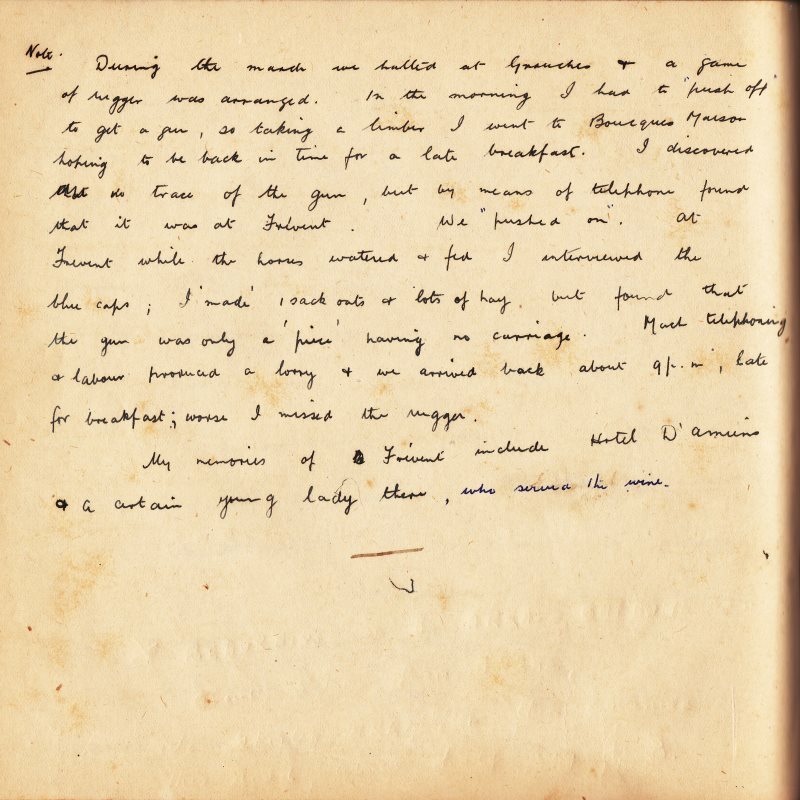 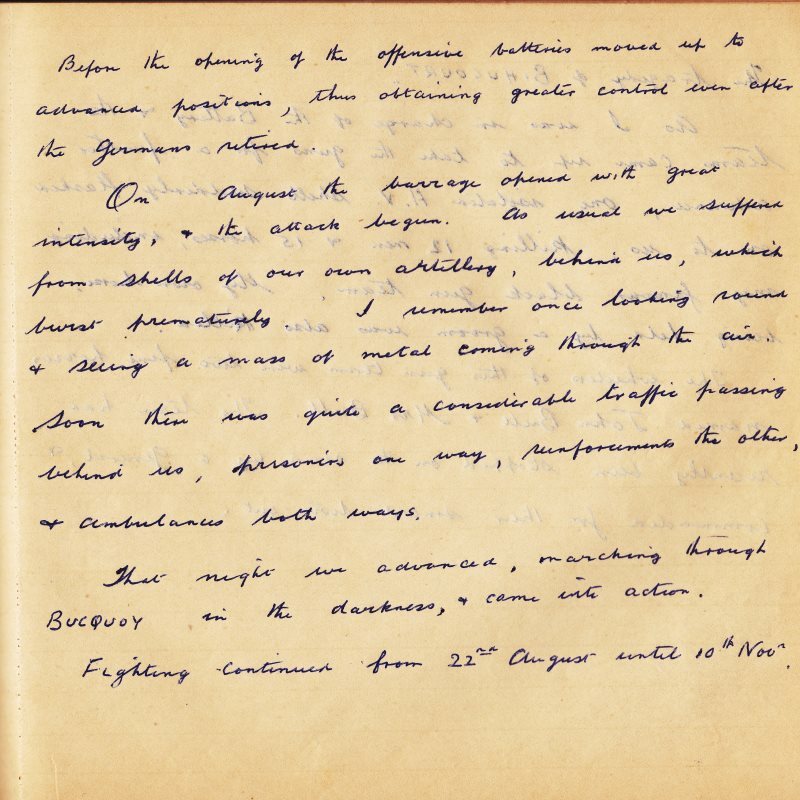 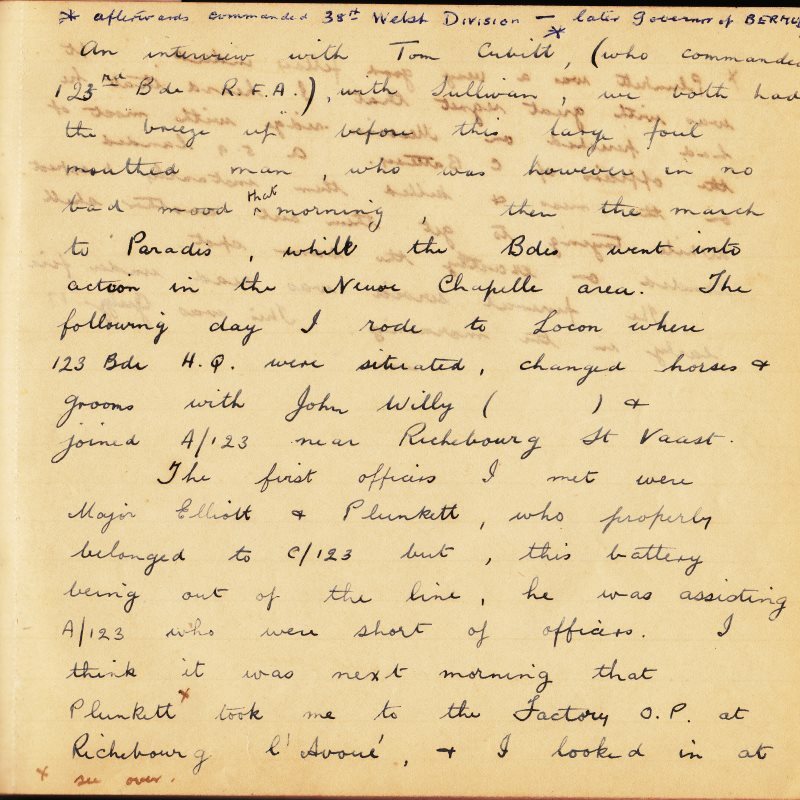 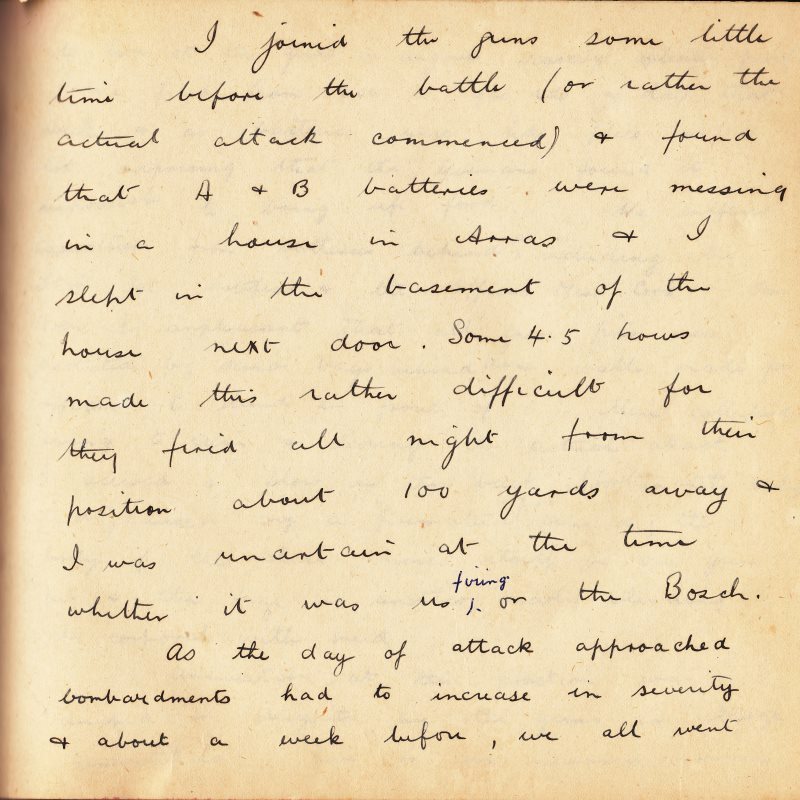 It's best to begin by reading the War Diary as this commences with Cyrils' embarkation to France in late 1916 whereas the letters from the Front don't begin until October 1917. 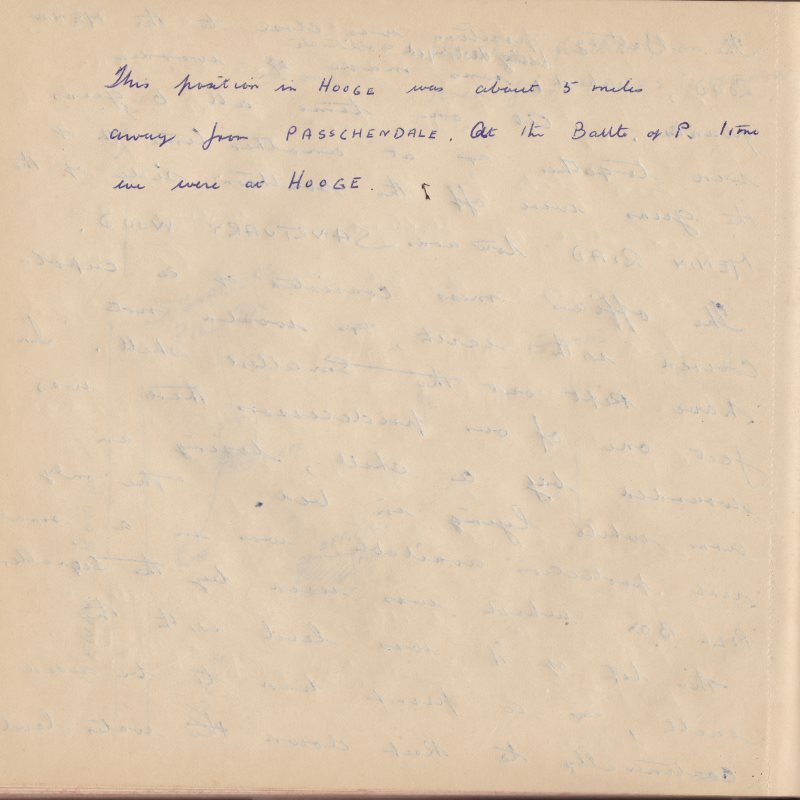 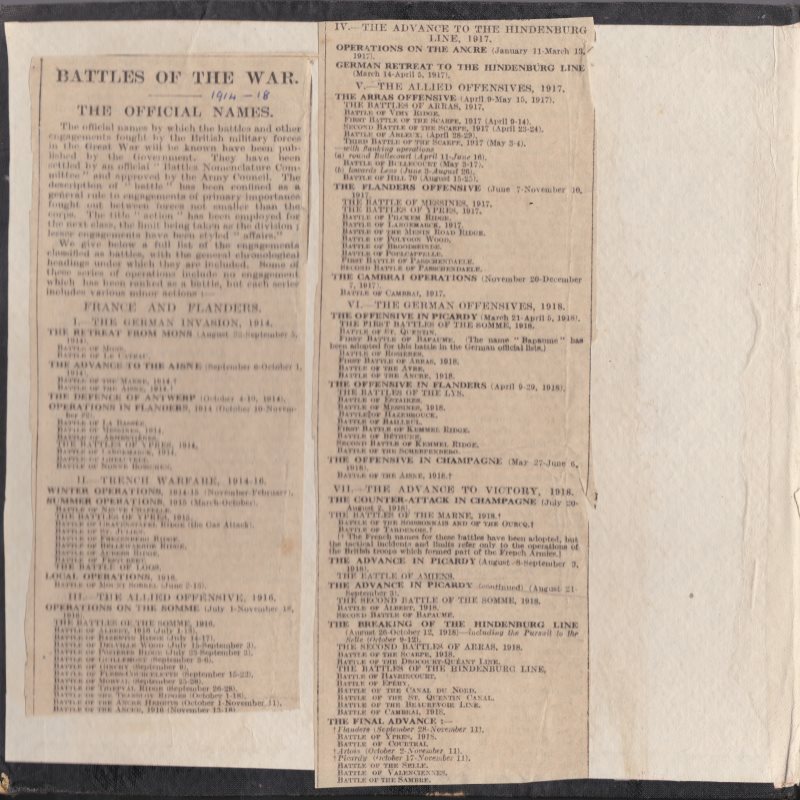 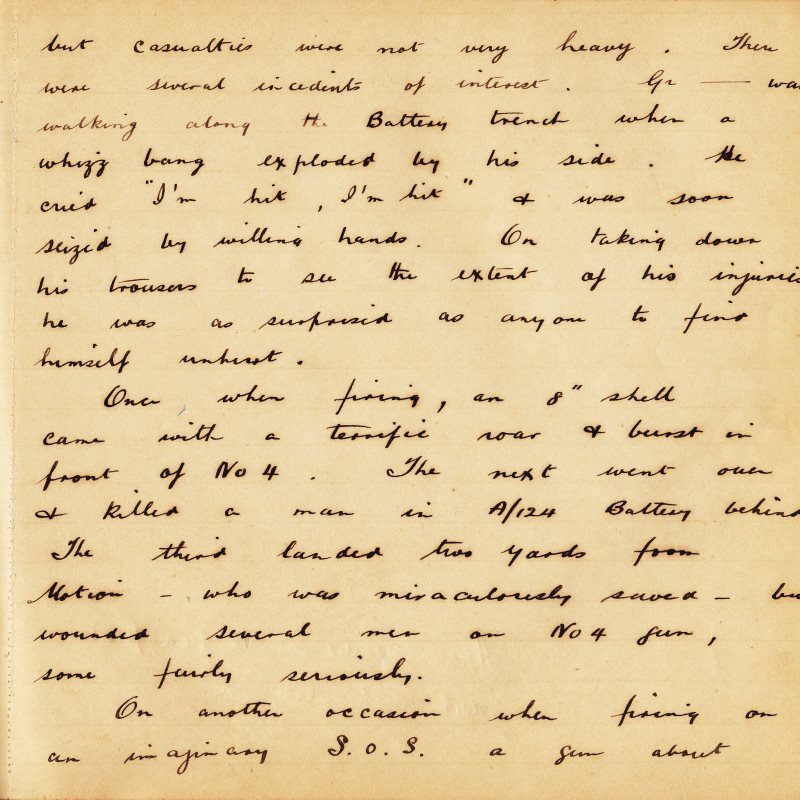 Here is the War Diary in its entirety - over 90 pages.It is written on very thin paper and the main diary is written on the right hand alternate pages. 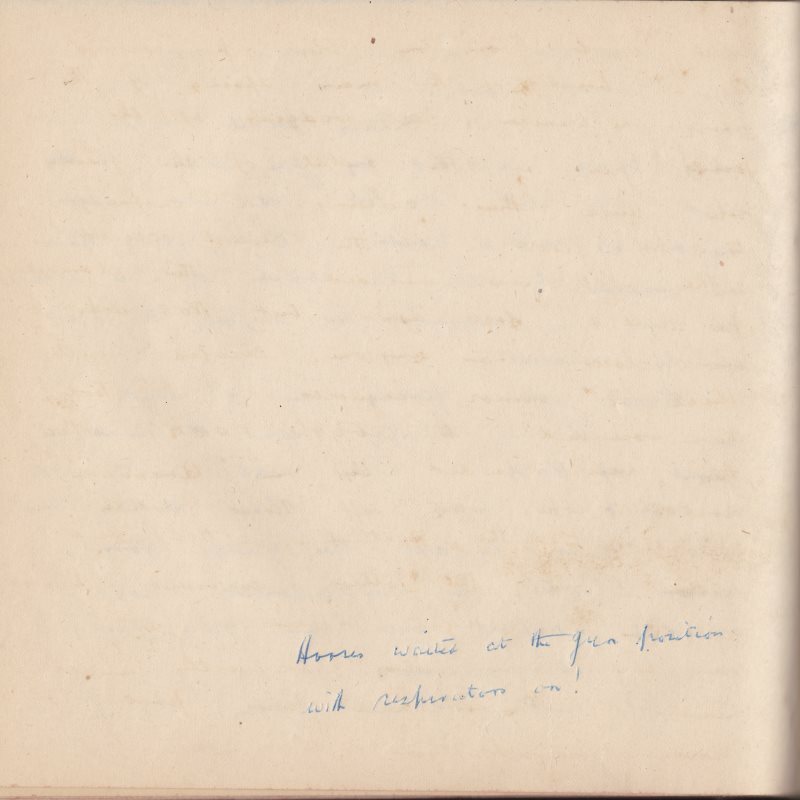 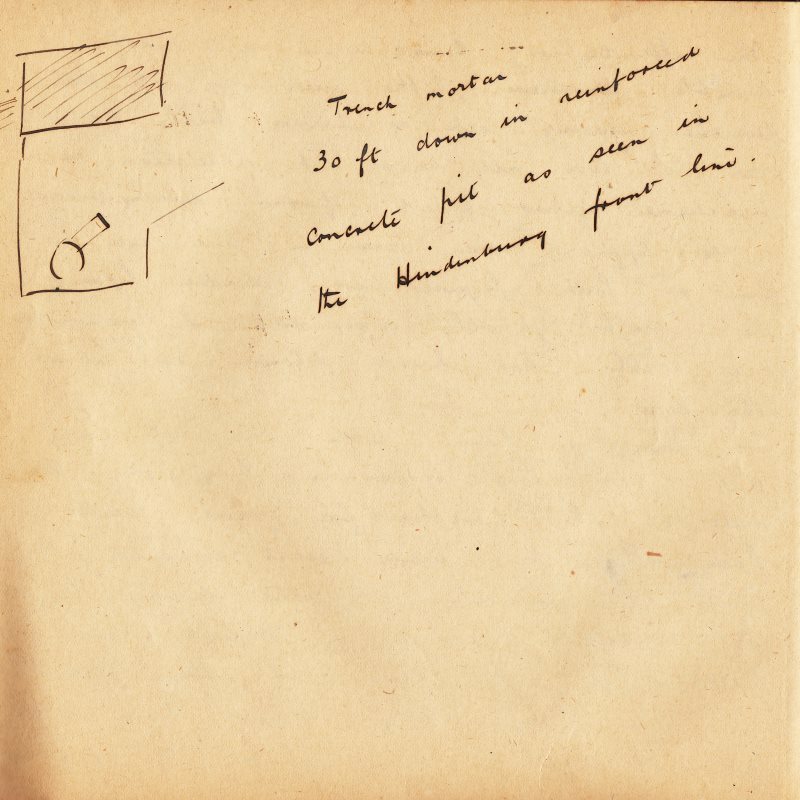 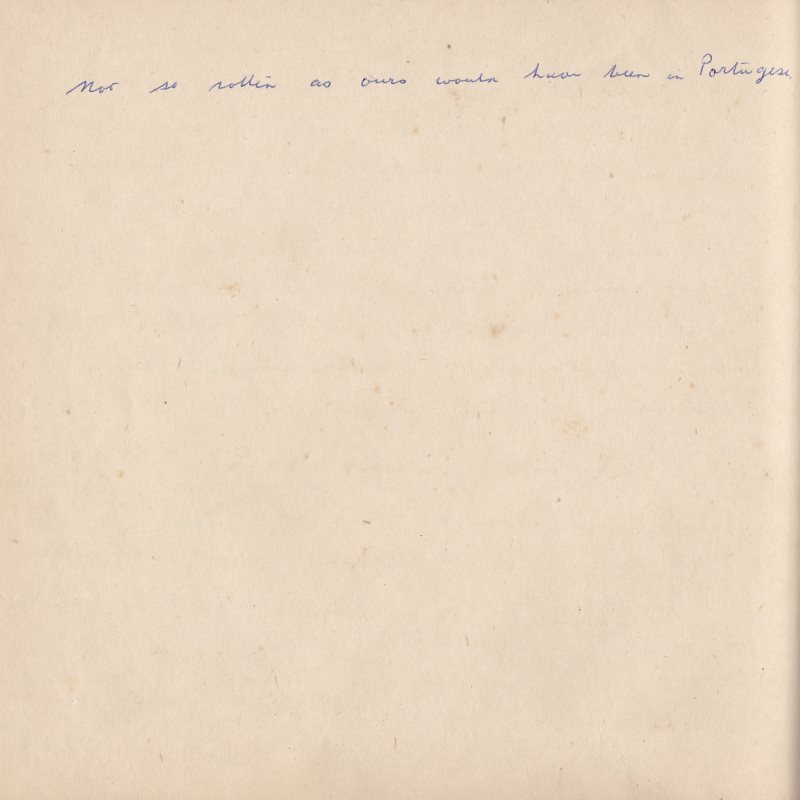 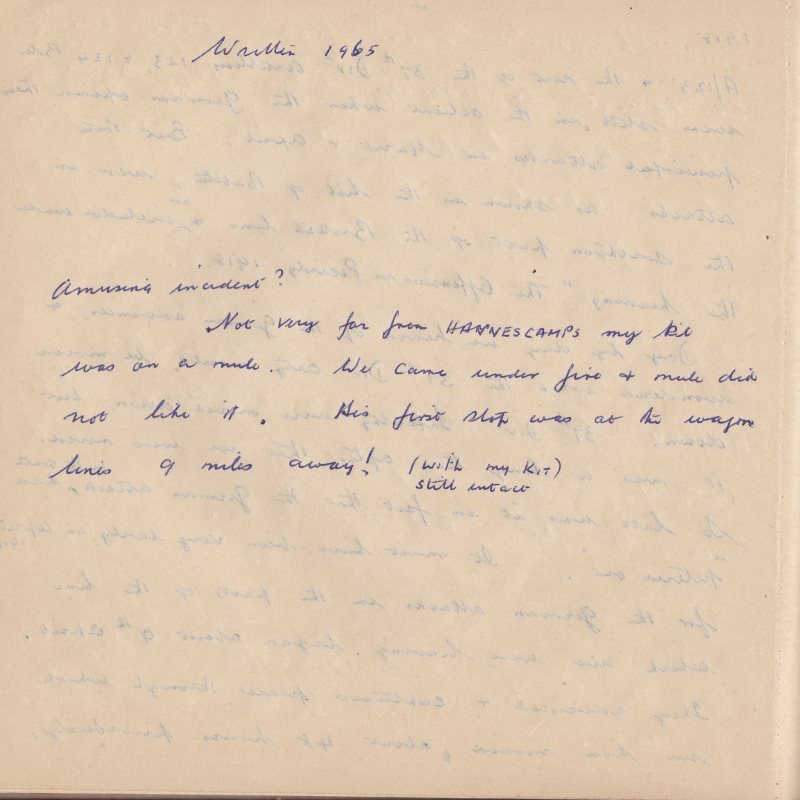 Cyril added illustrations and other notes on some of the left hand pages. 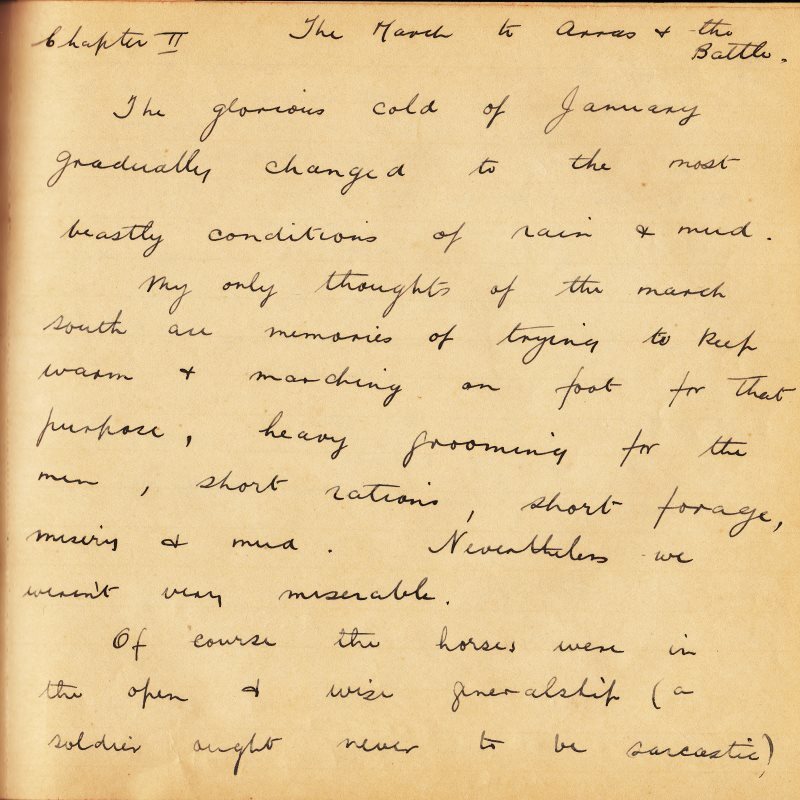 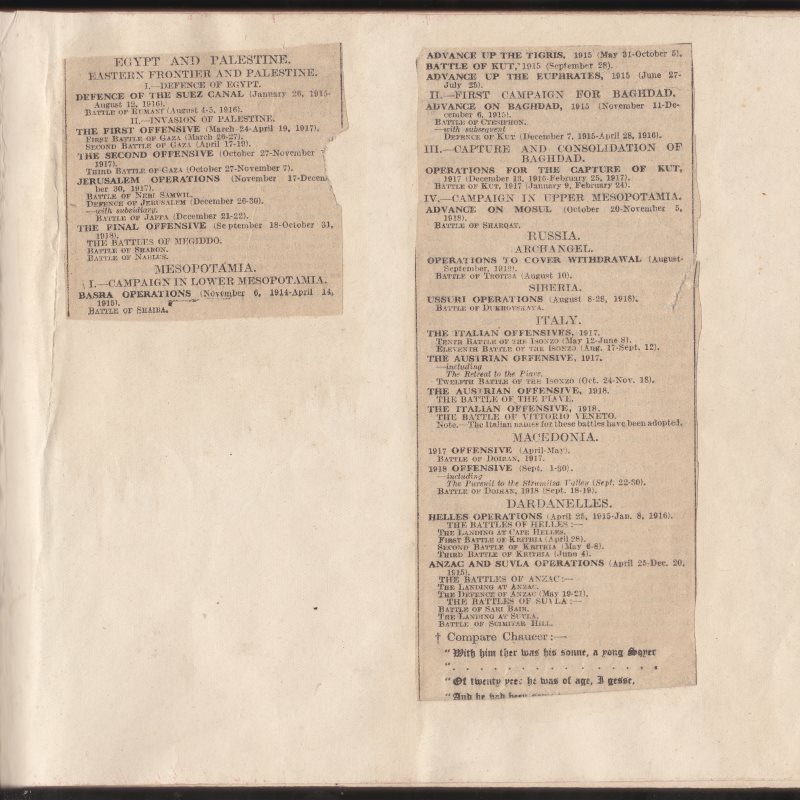 For this reason, as you read through the pages as shown the sequence may be interrupted and you may need to skip a page to continue the sequence of the maind diary. 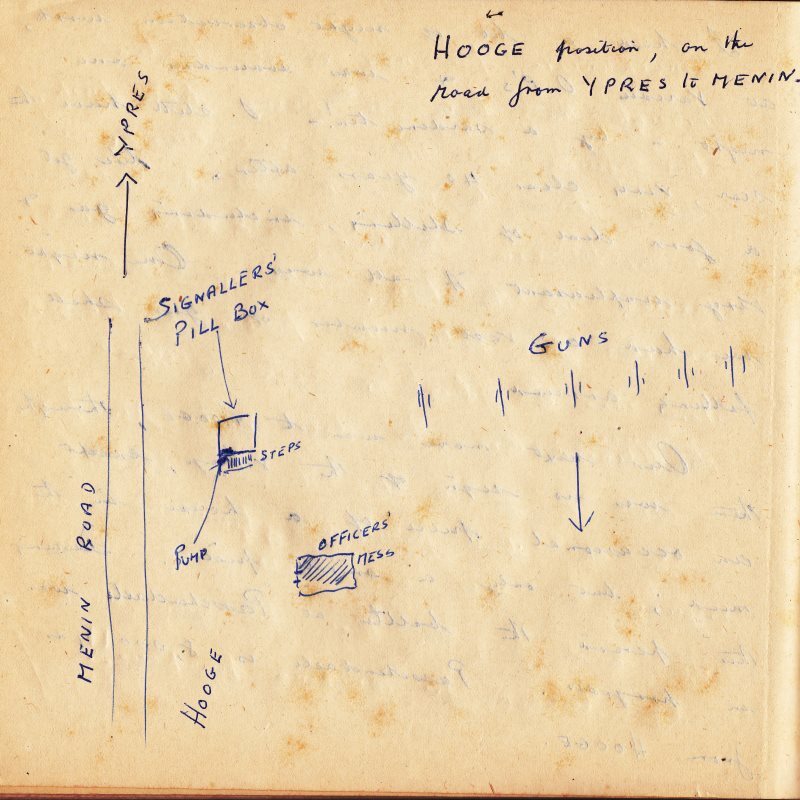 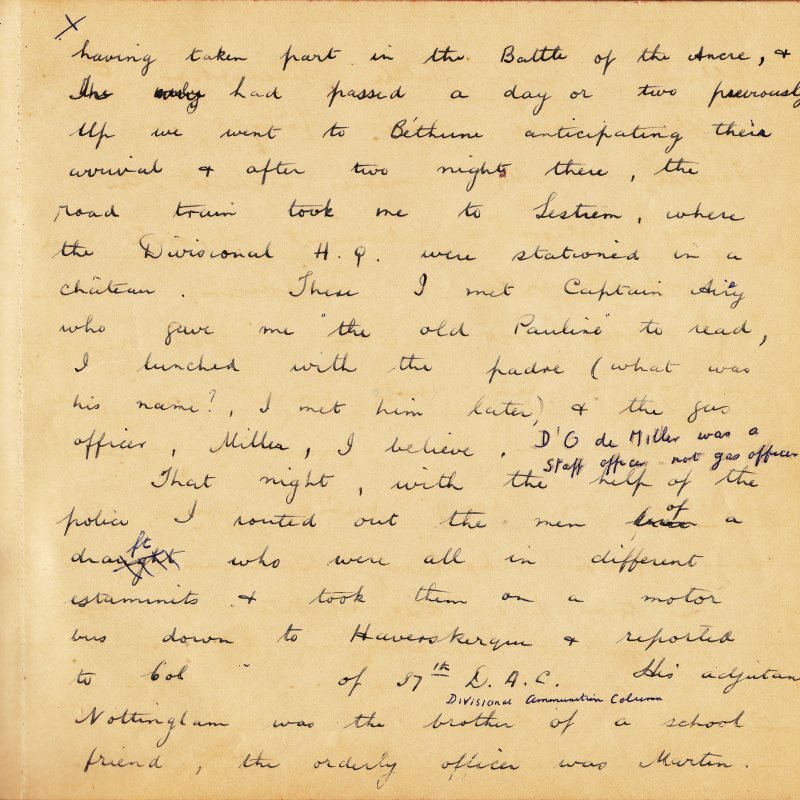 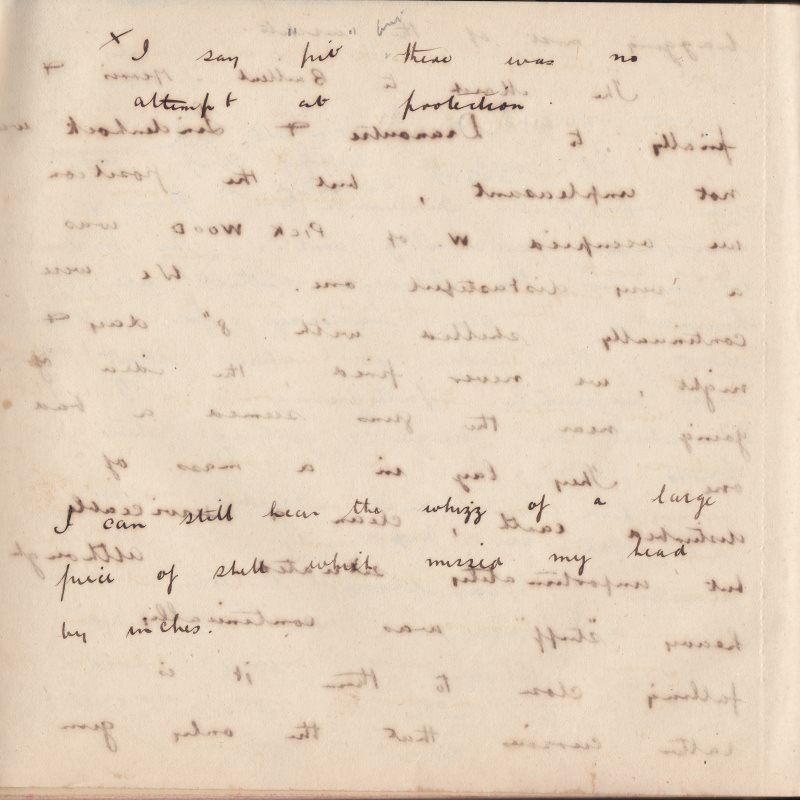 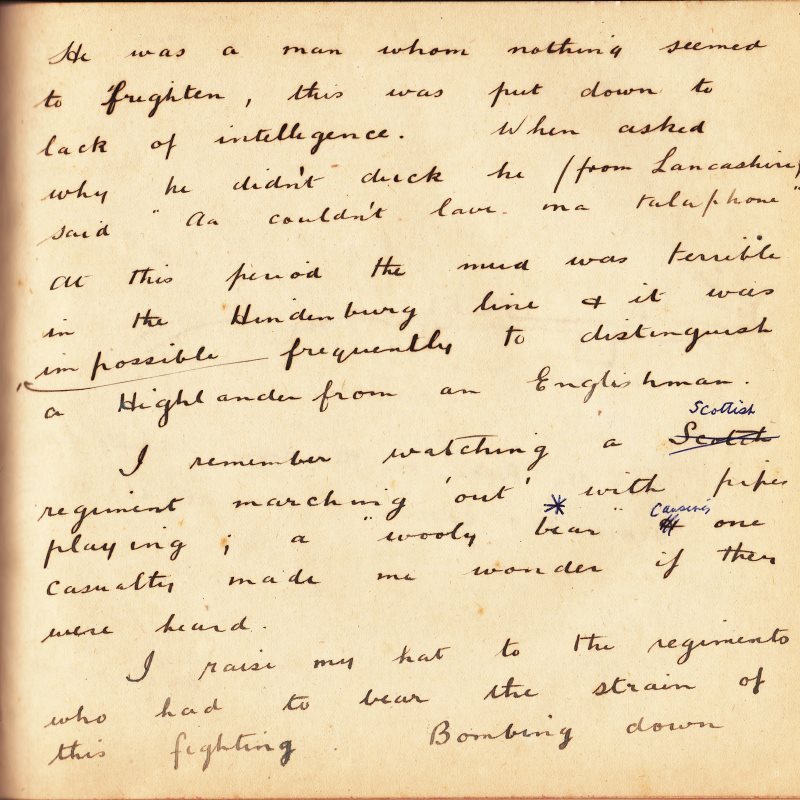 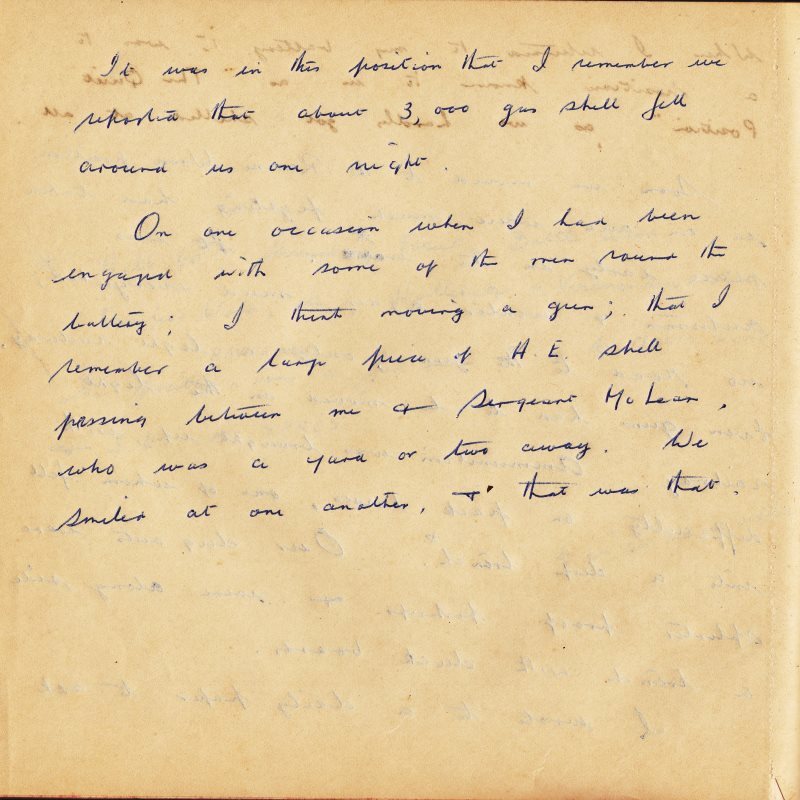 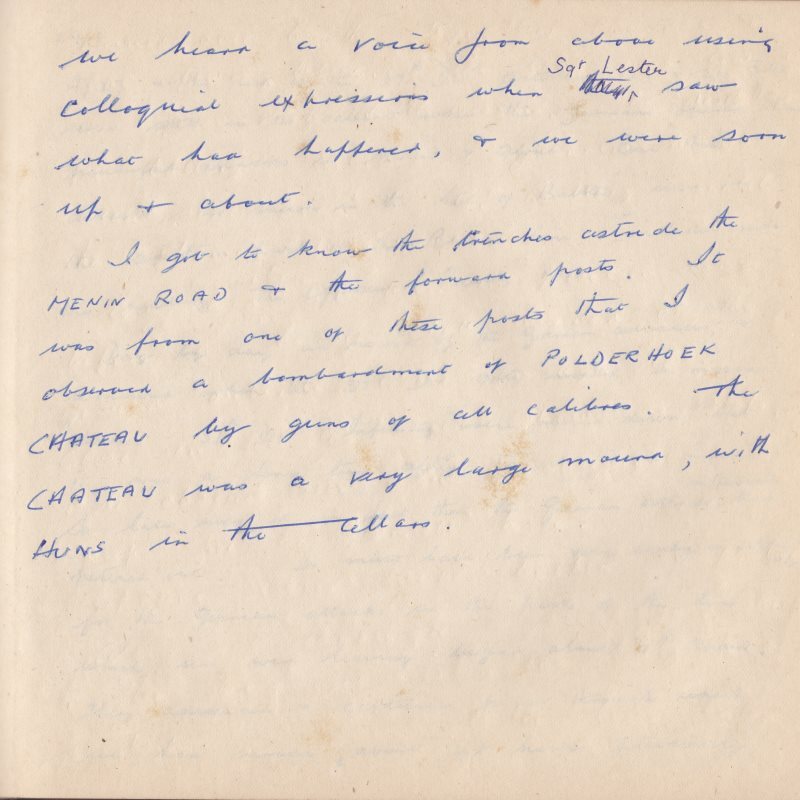 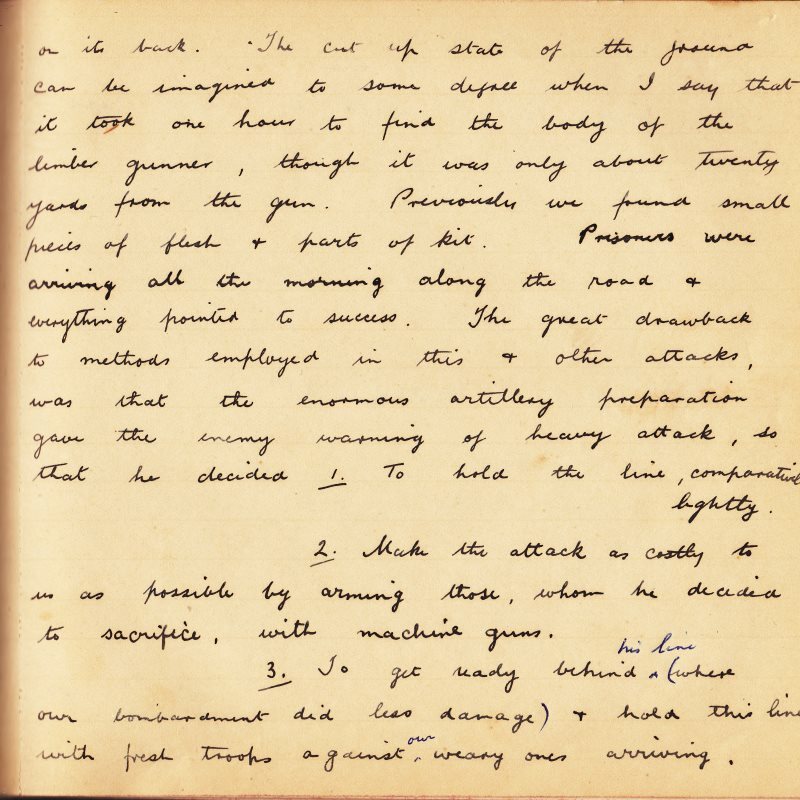 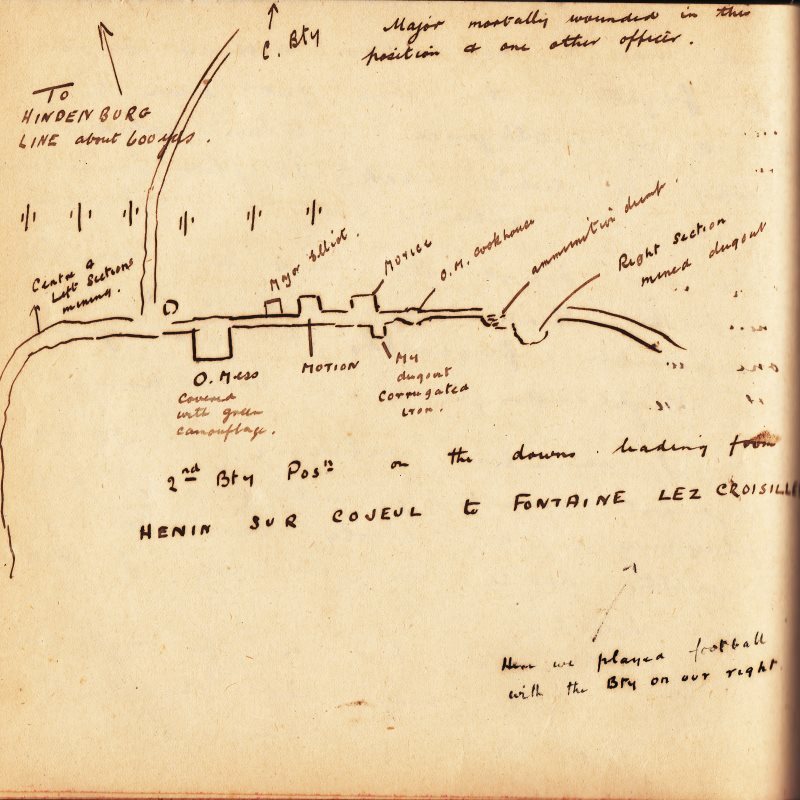 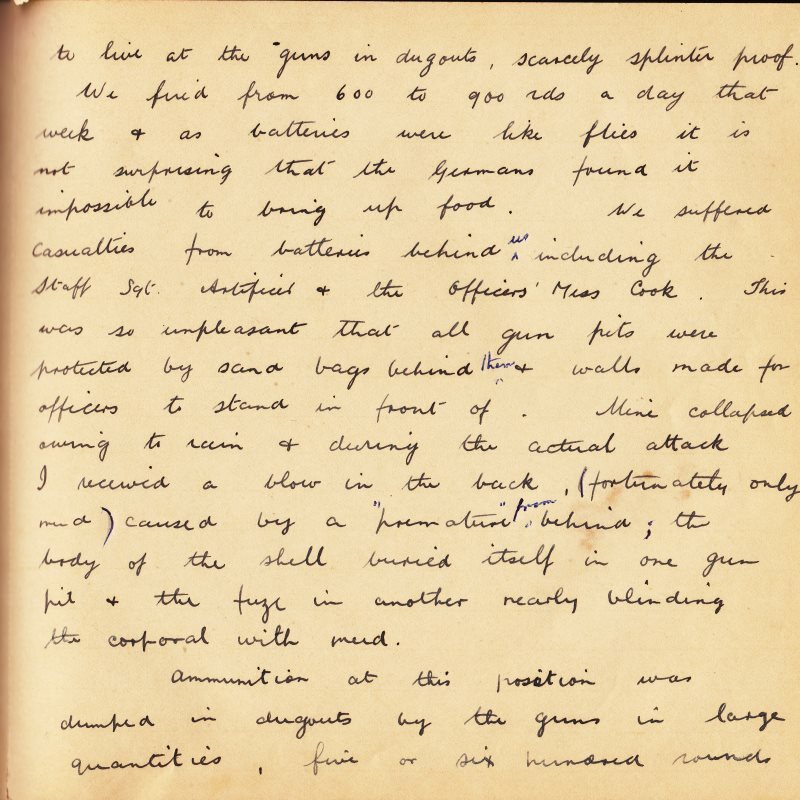 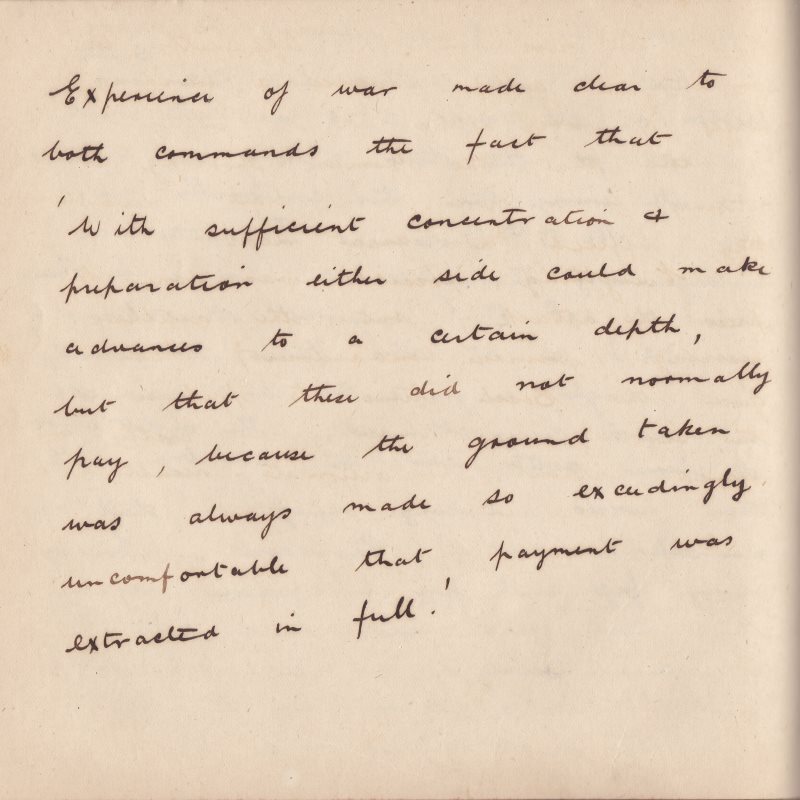 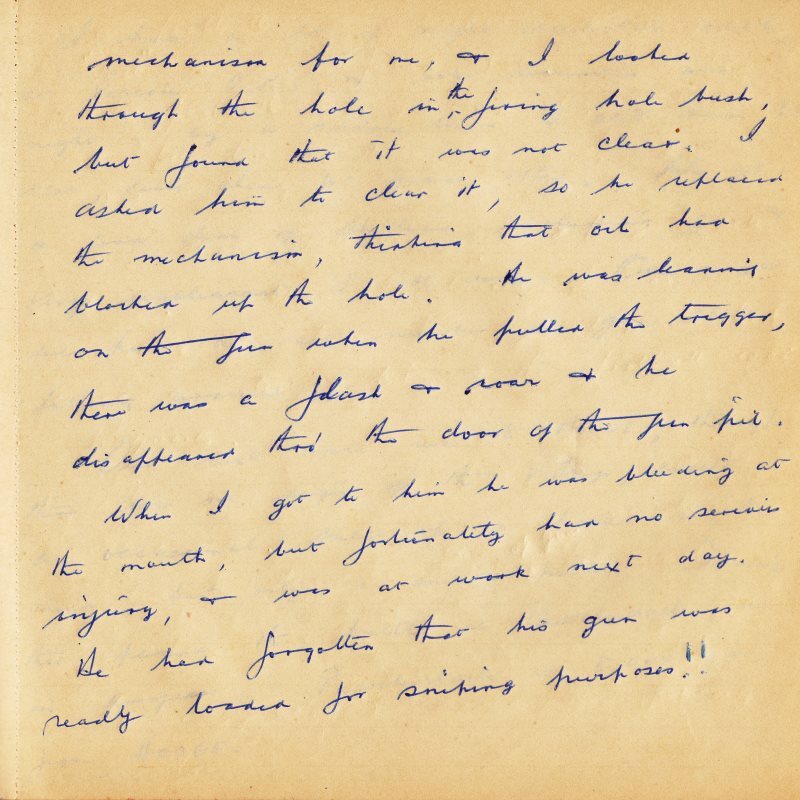 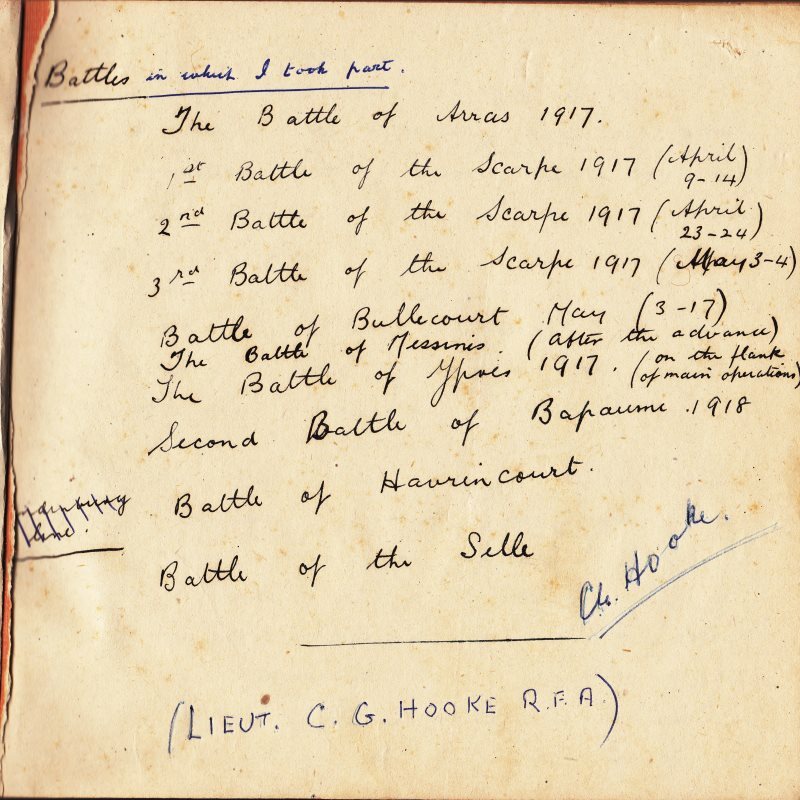 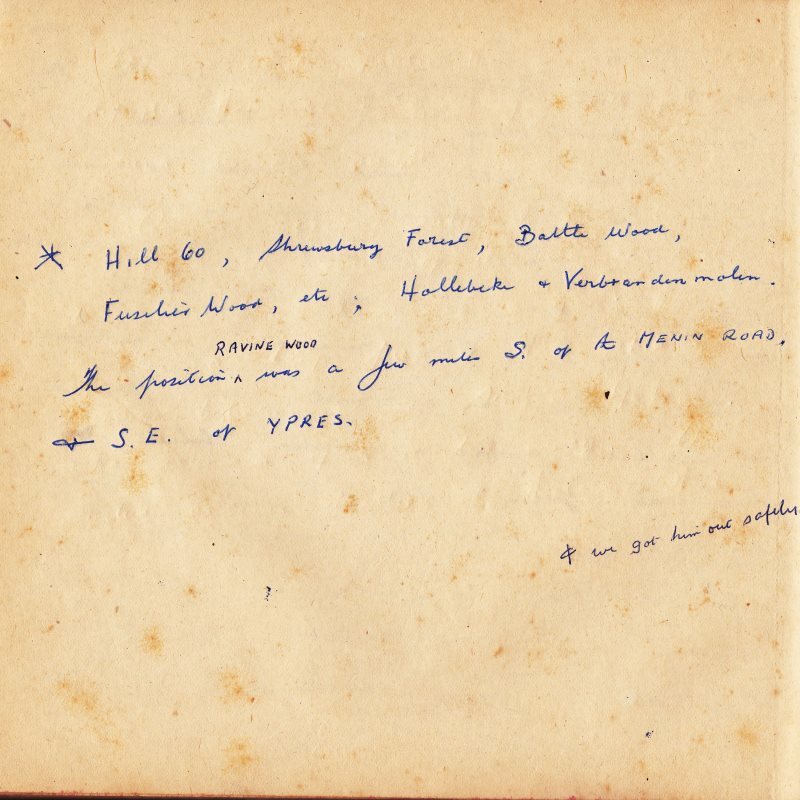 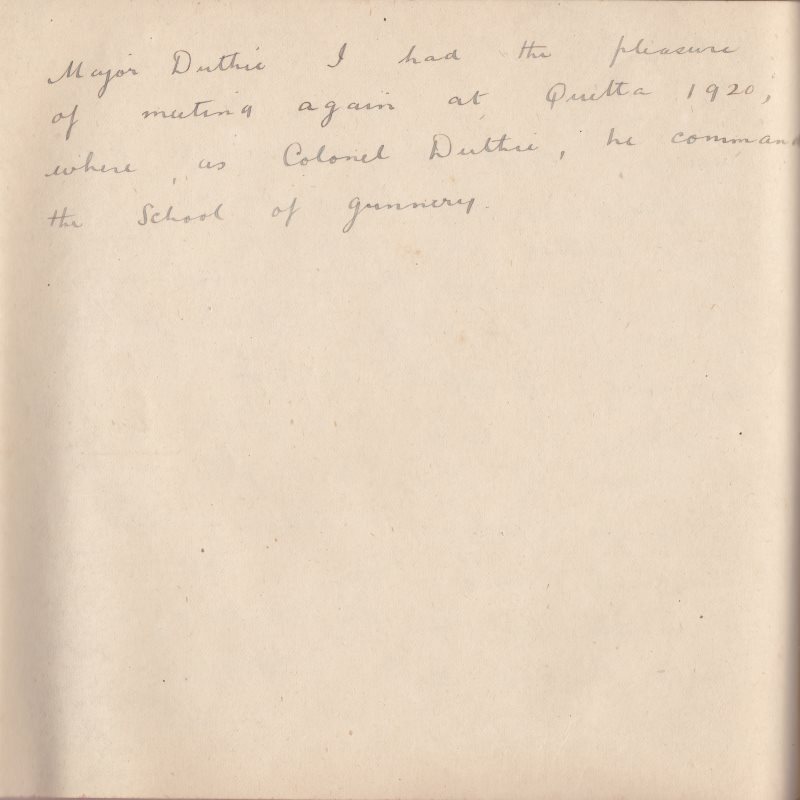 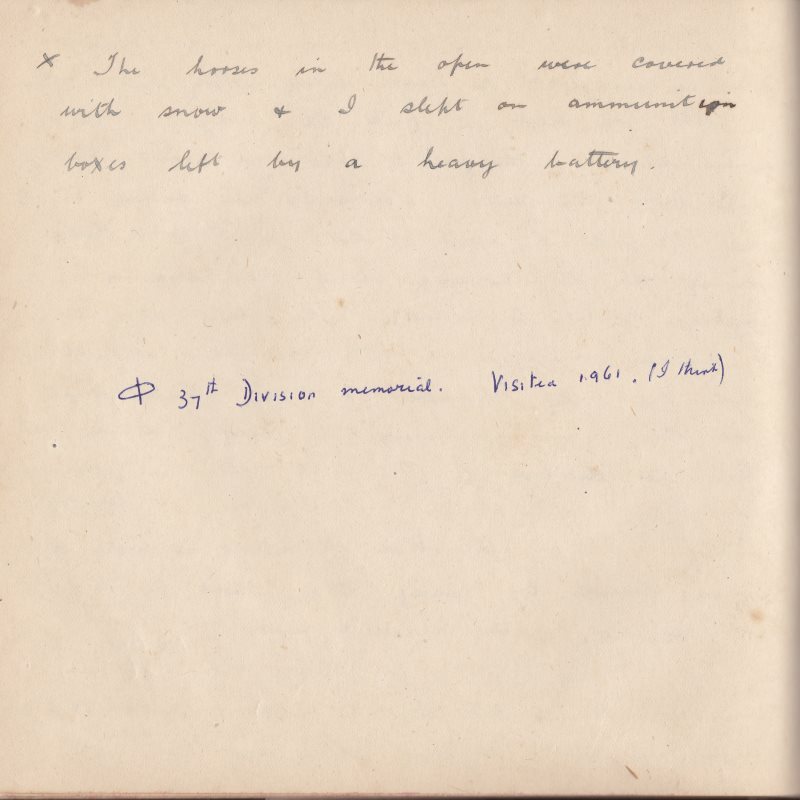 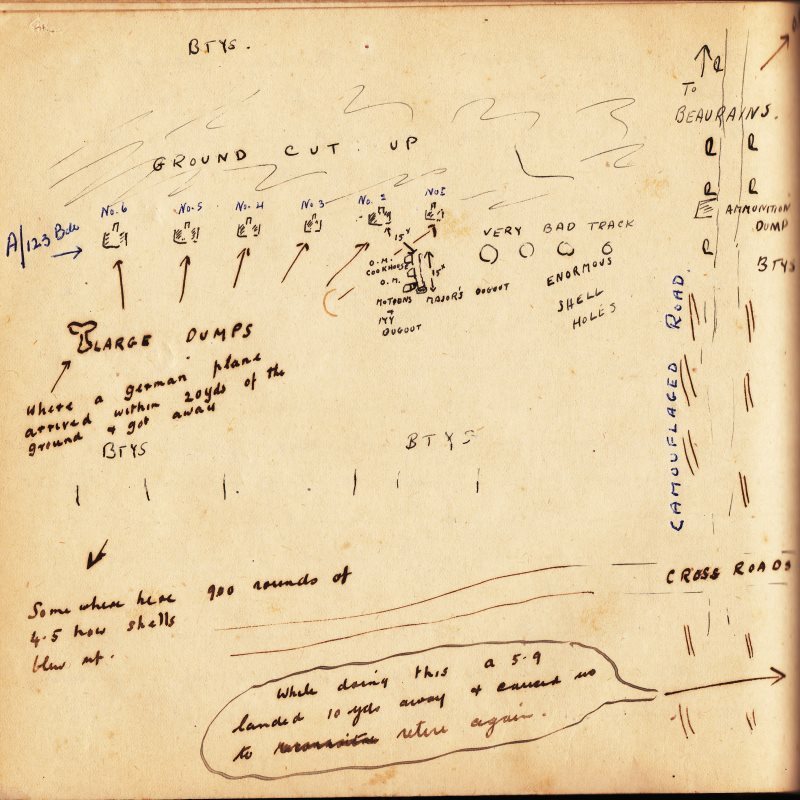 You will find it much easier to read the illustrated transcripts of Cyril's war diary, chapter by chapter (Chapter 1). 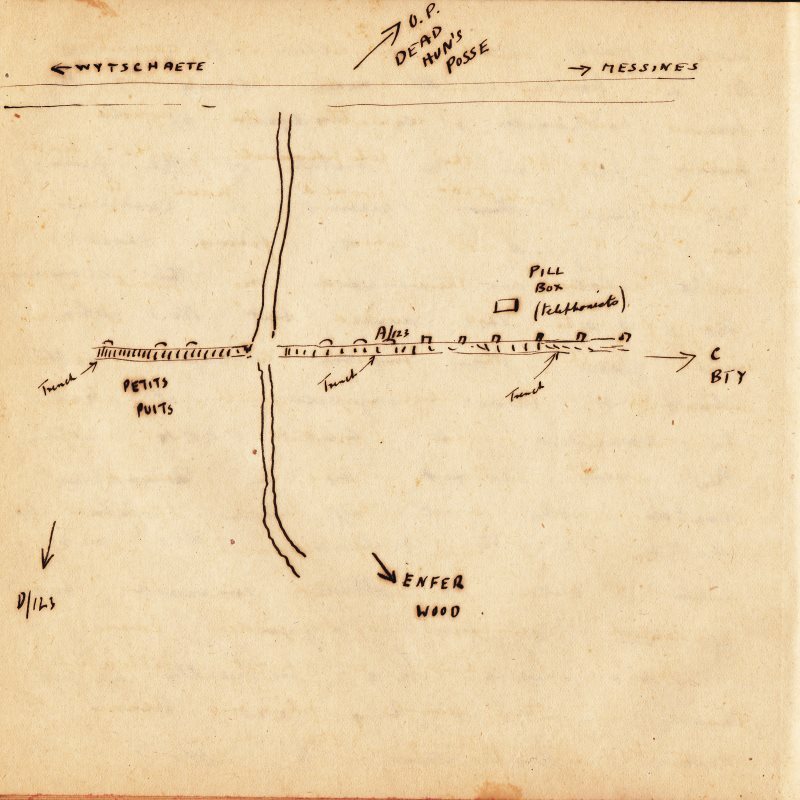 Follow the links. 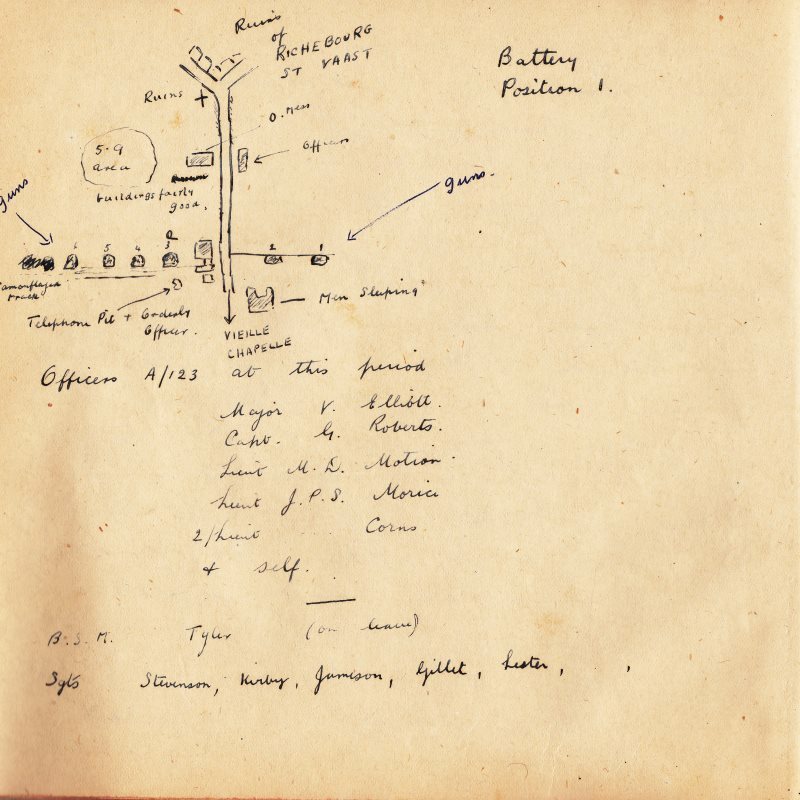 A number of military documents and maps survived, some of which have been included on the pages about Cyril's war diary and letters, but some are simply too large to show on a webpage!